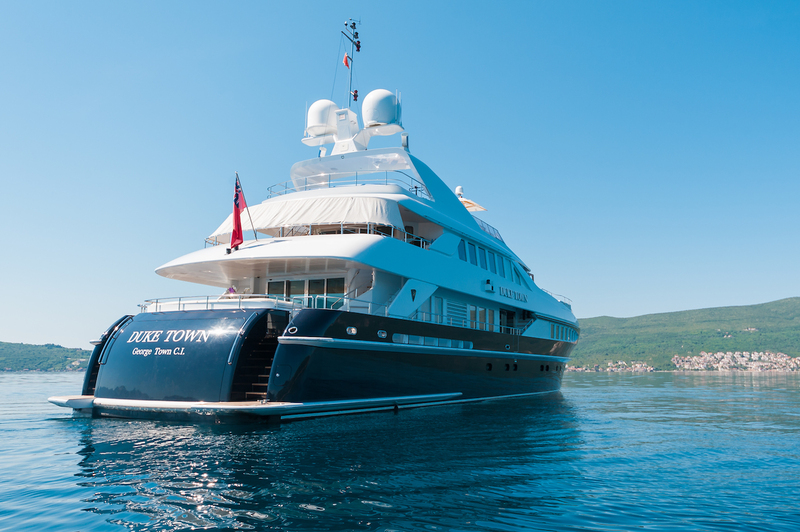 Luxury yacht DUKE TOWN is a 37.00m (121' 5") aluminium semi-displacement yacht built by Hessen Yachts of Holland with interior design by Omega Architects. 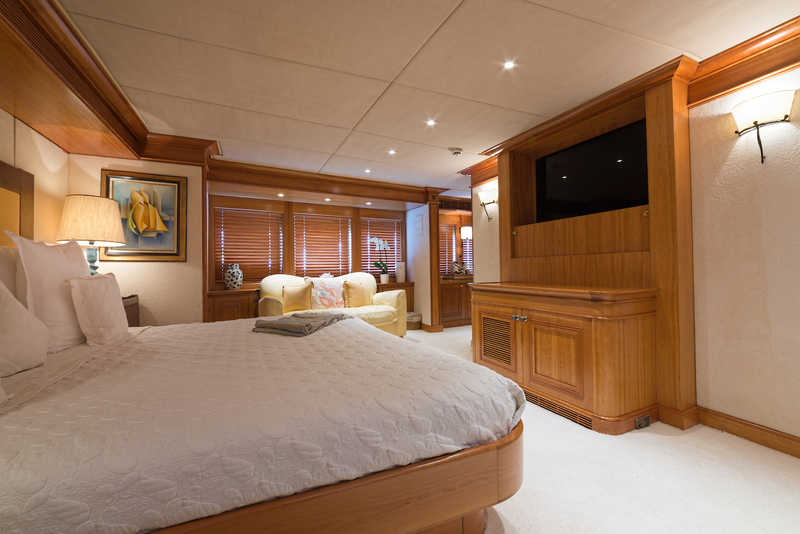 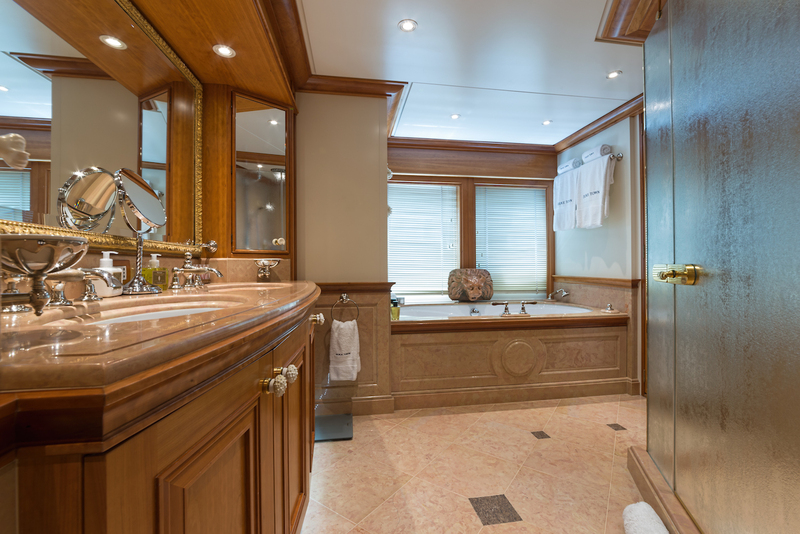 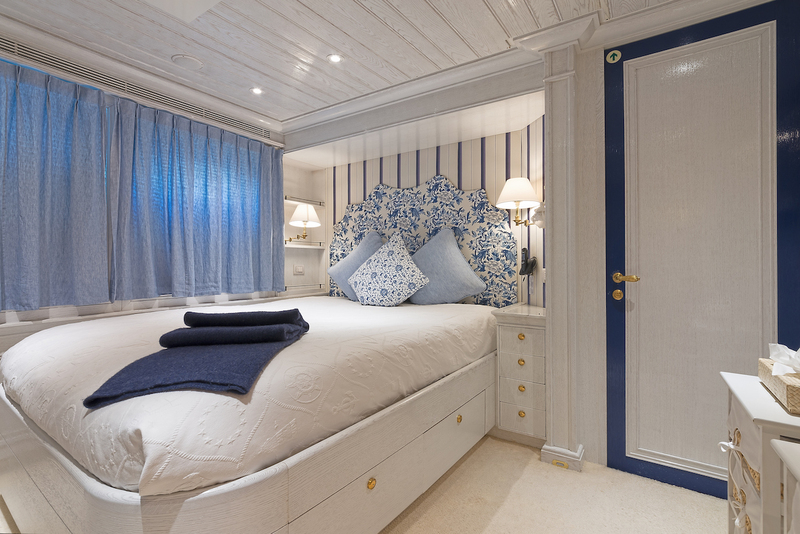 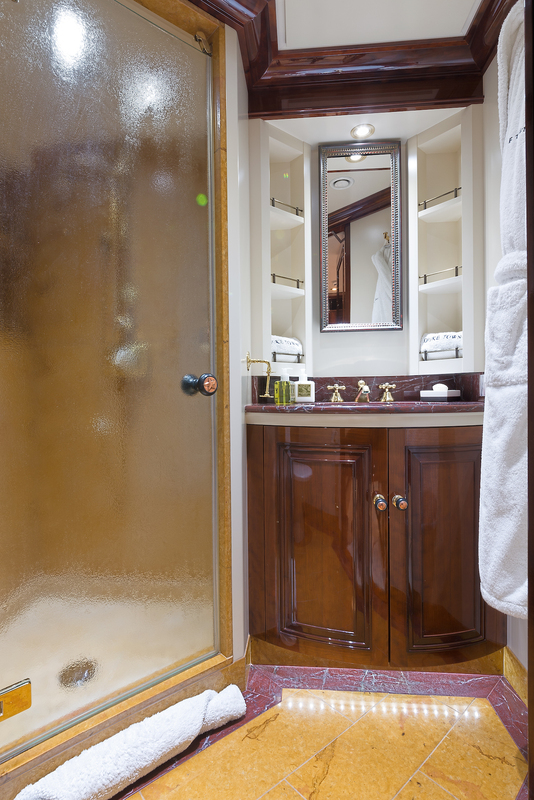 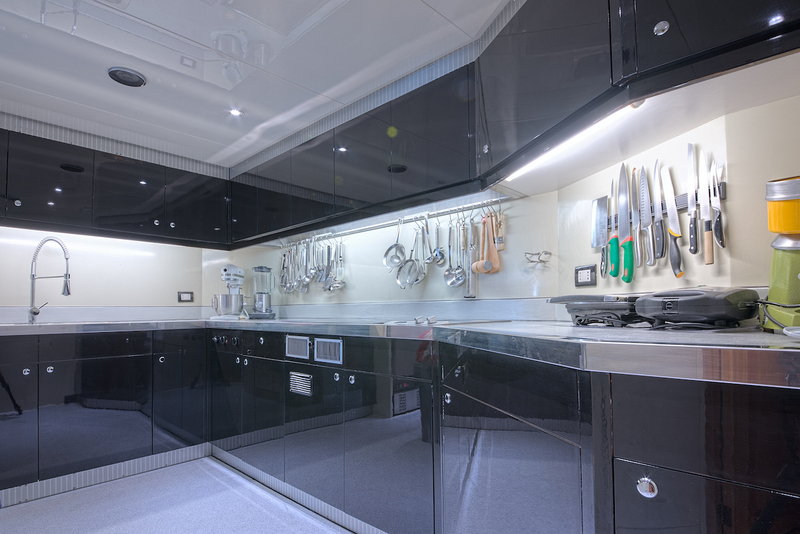 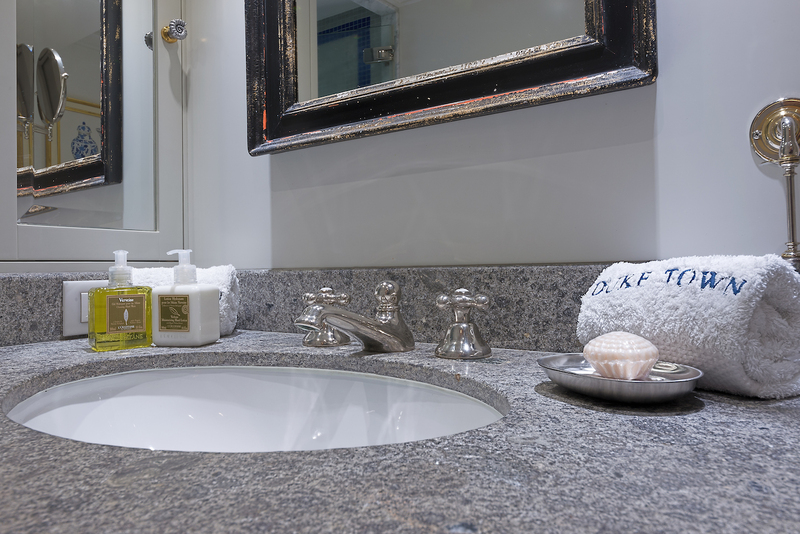 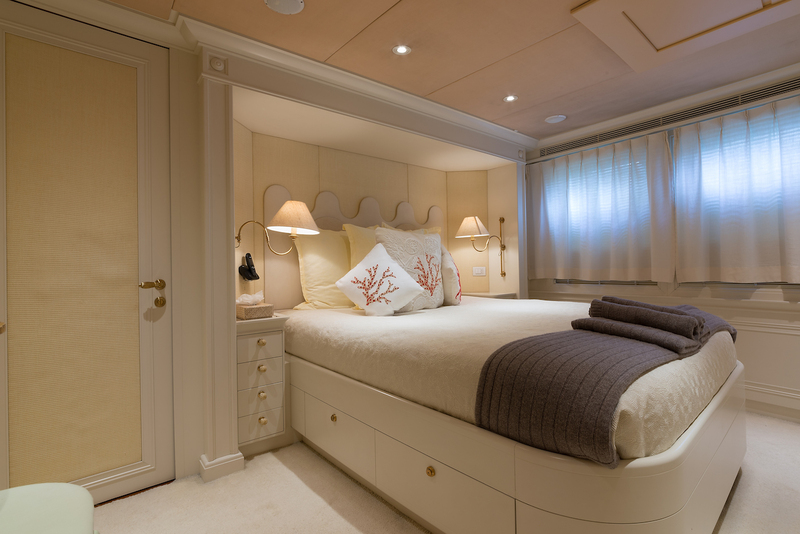 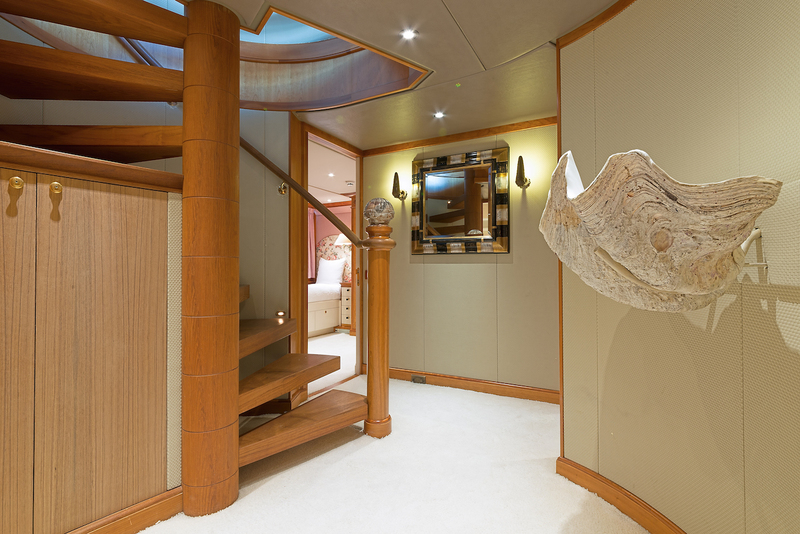 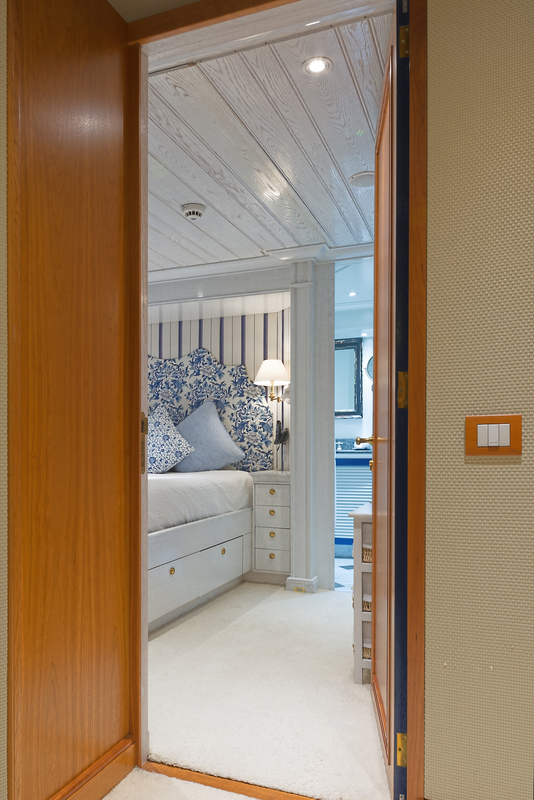 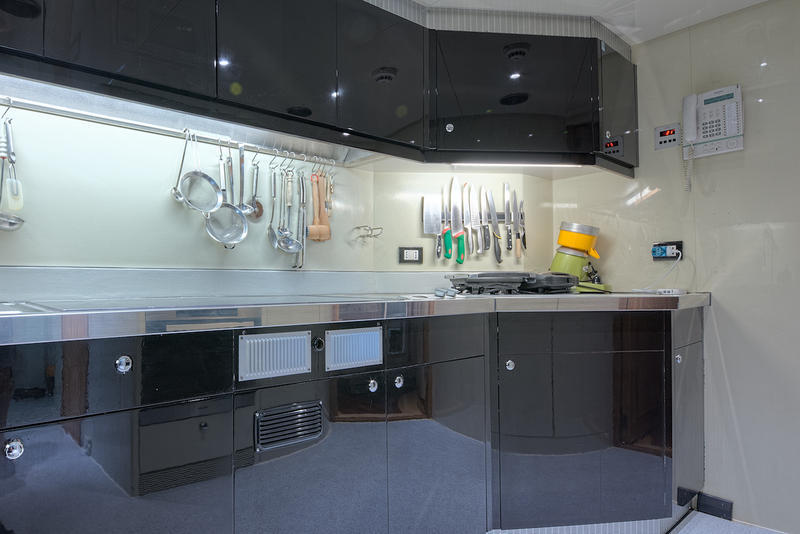 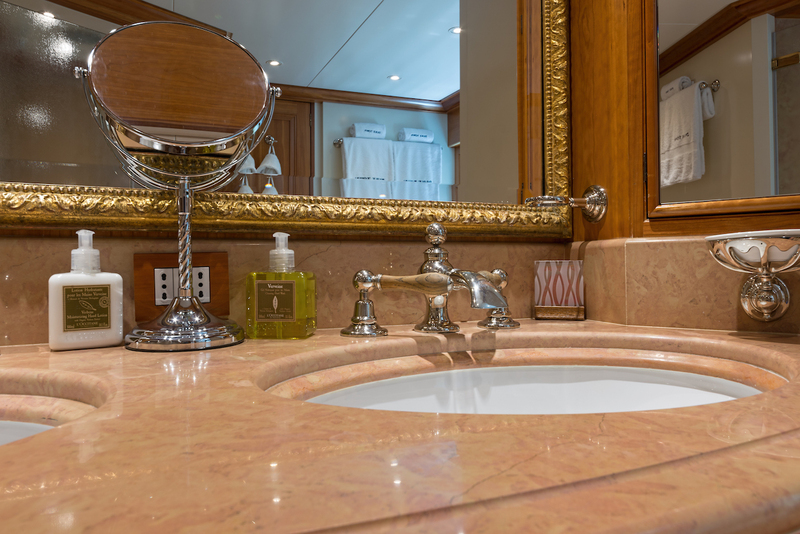 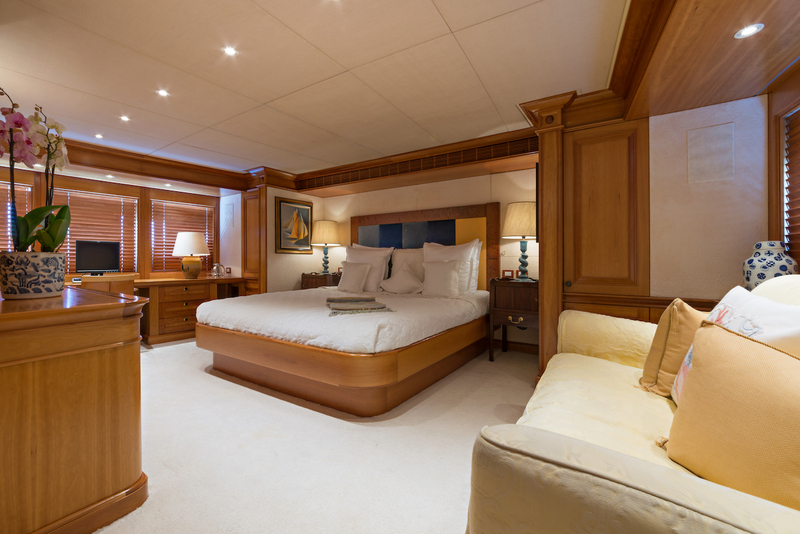 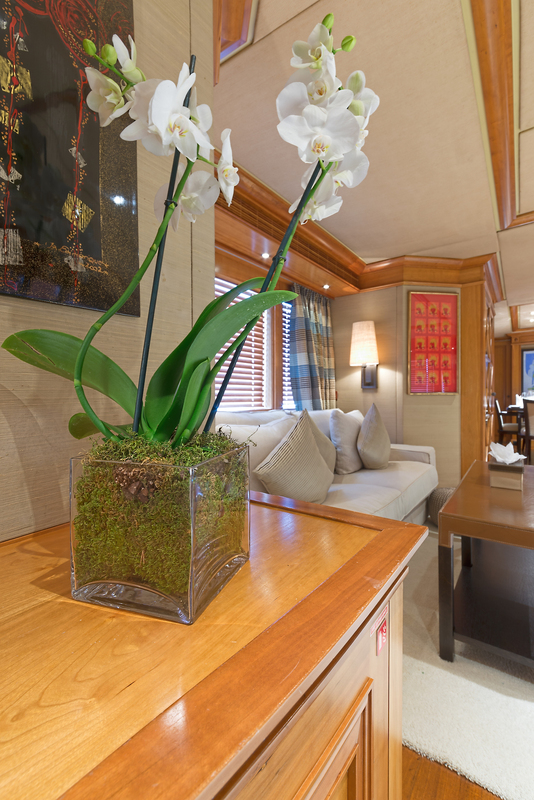 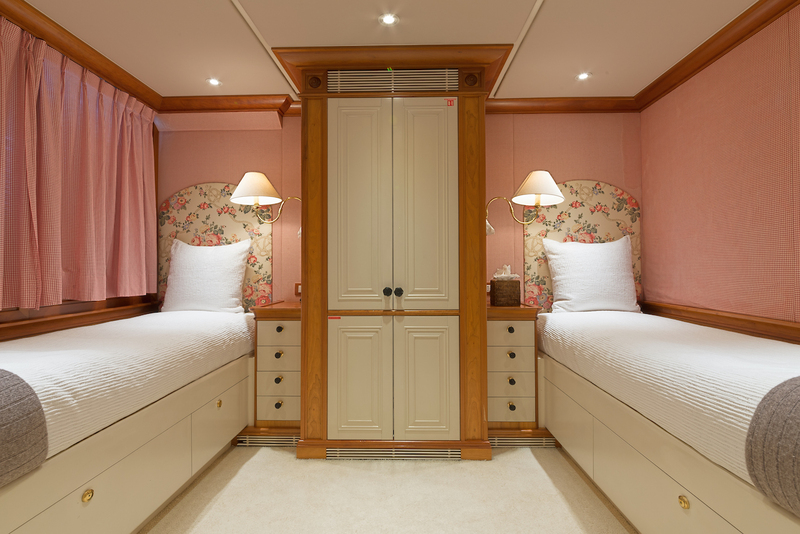 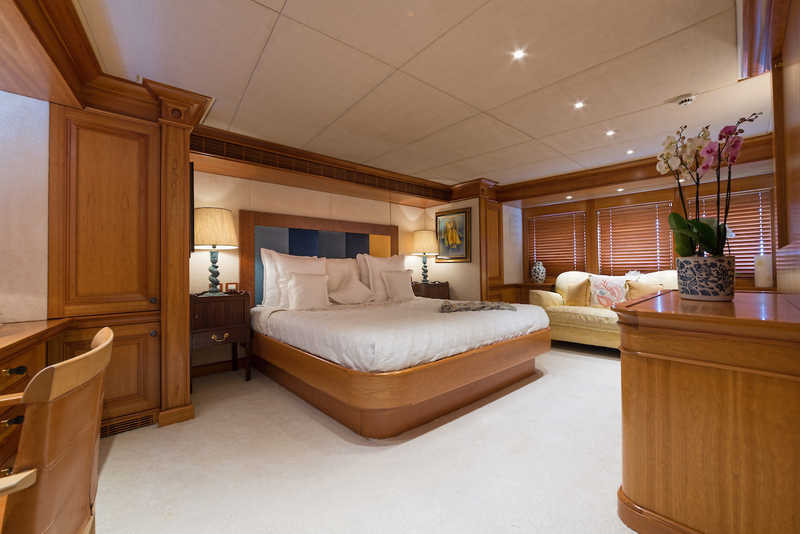 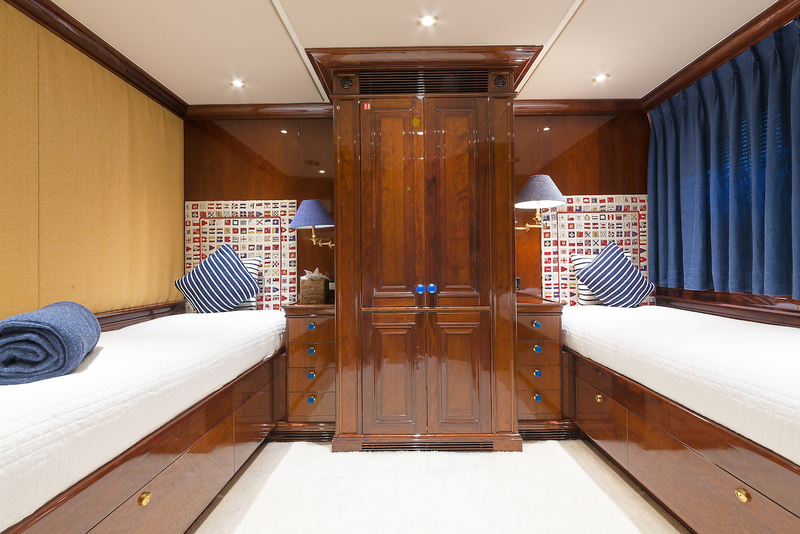 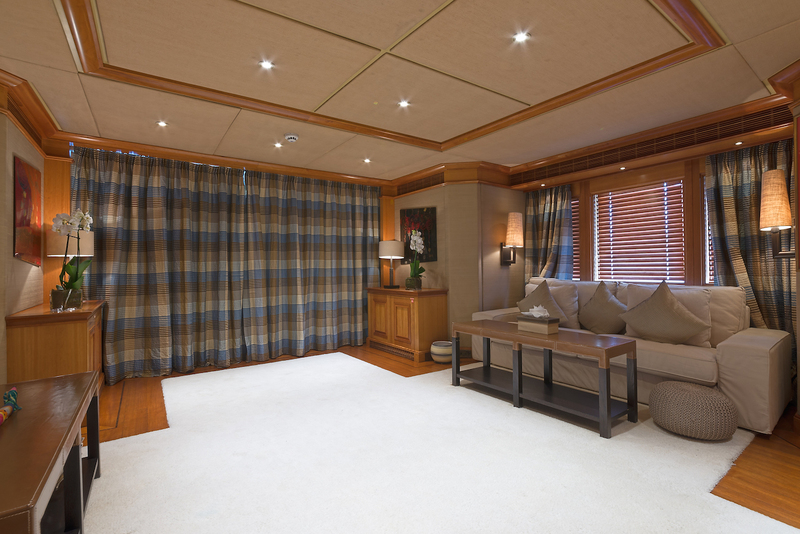 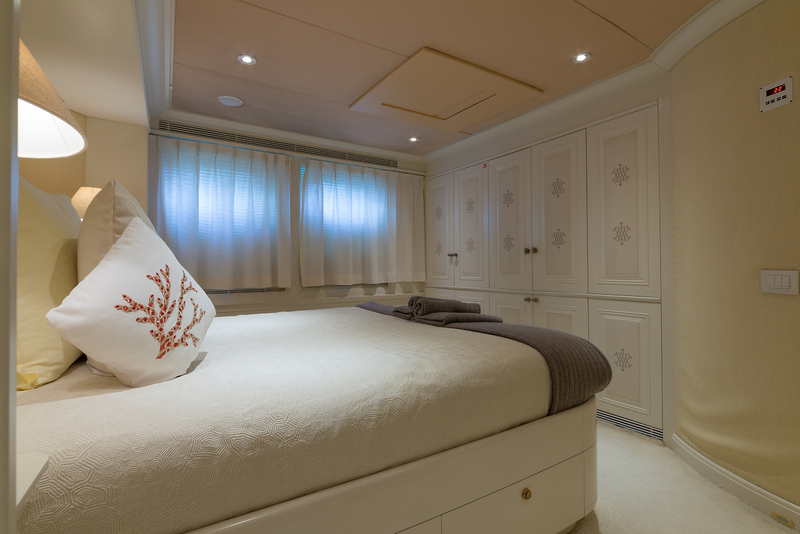 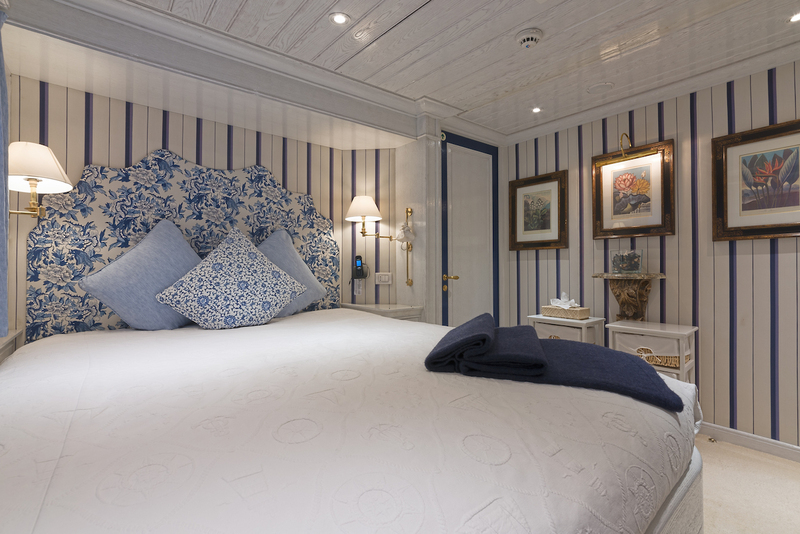 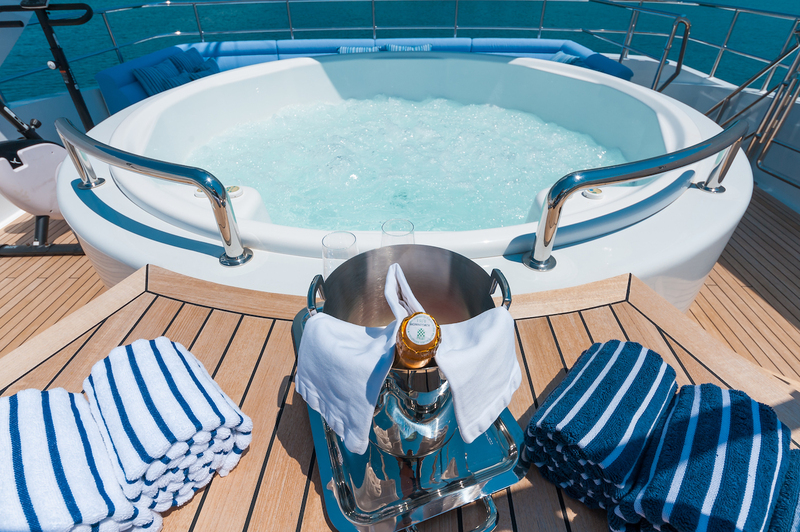 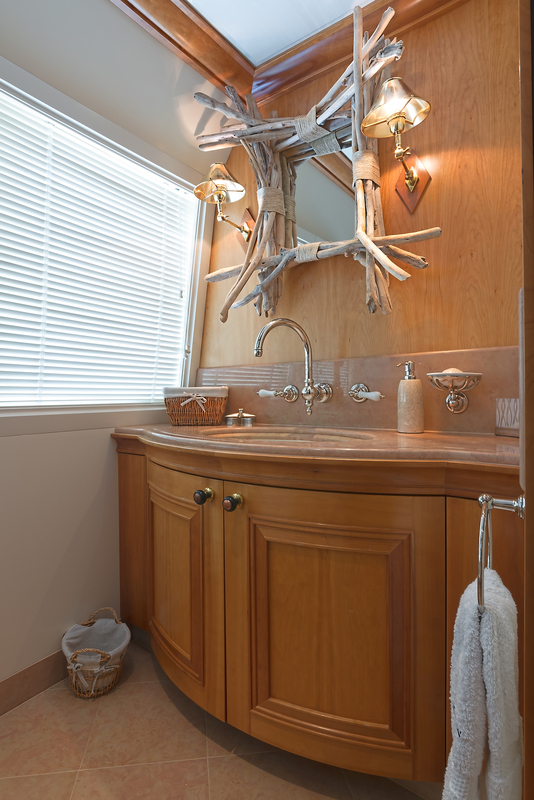 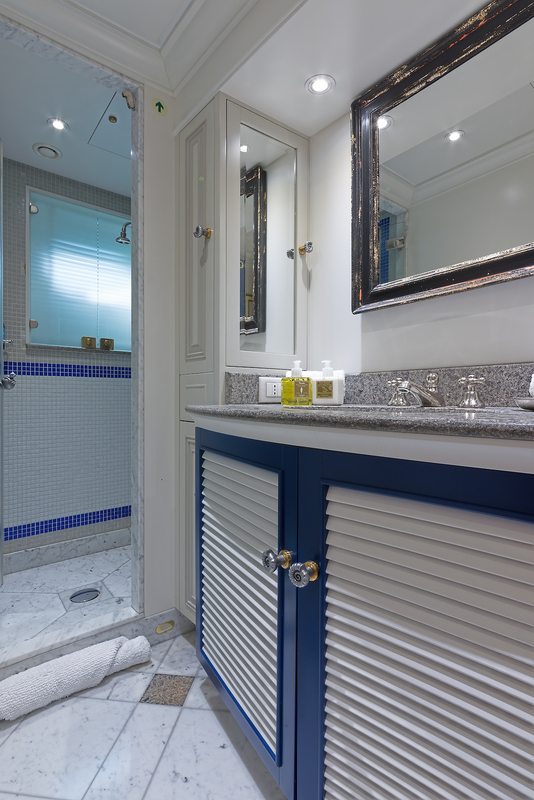 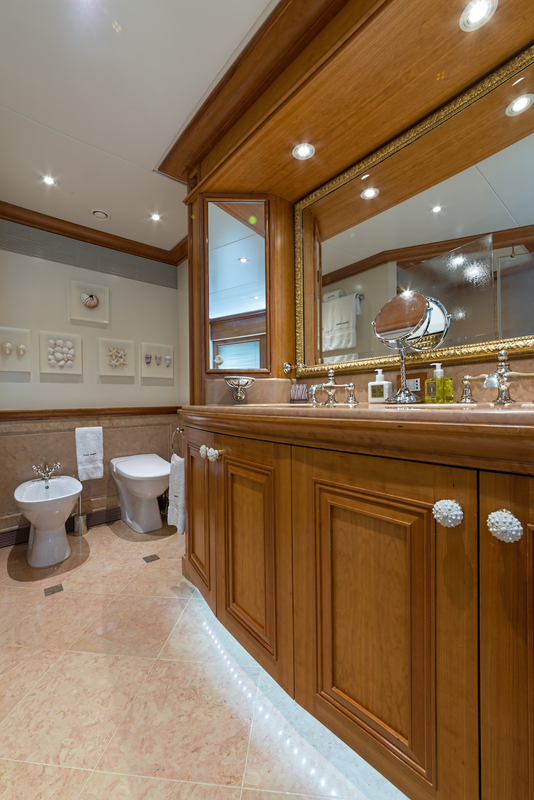 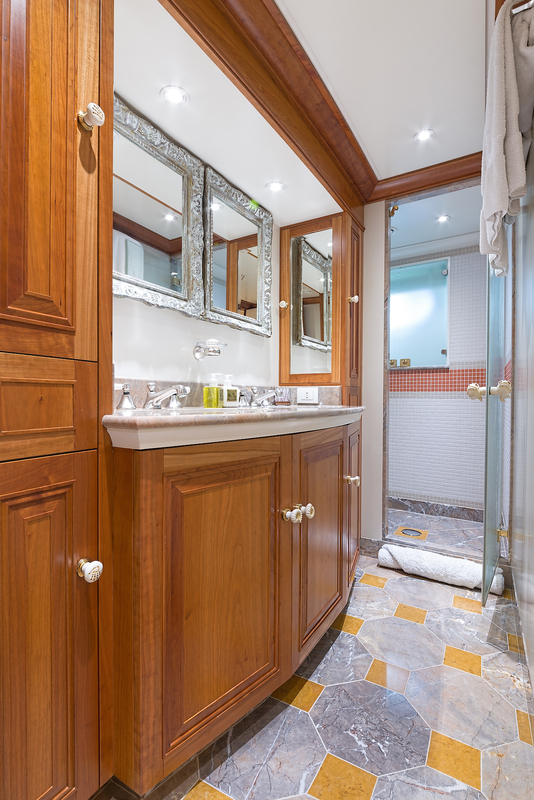 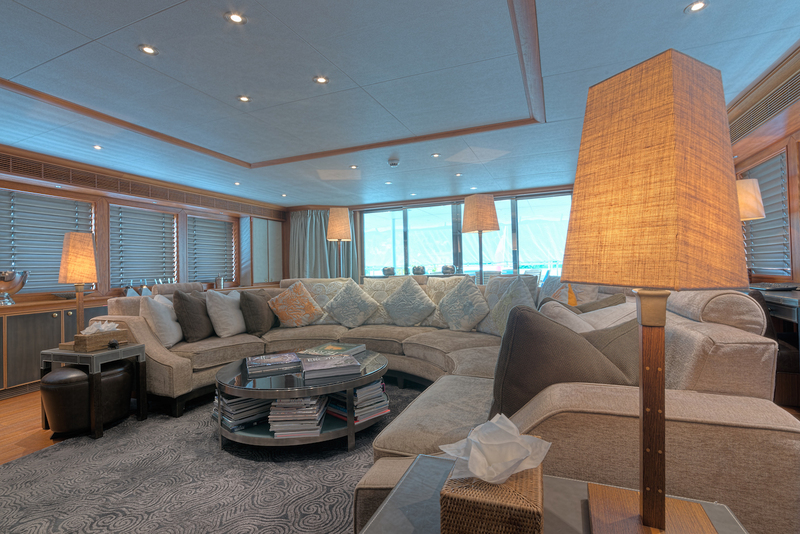 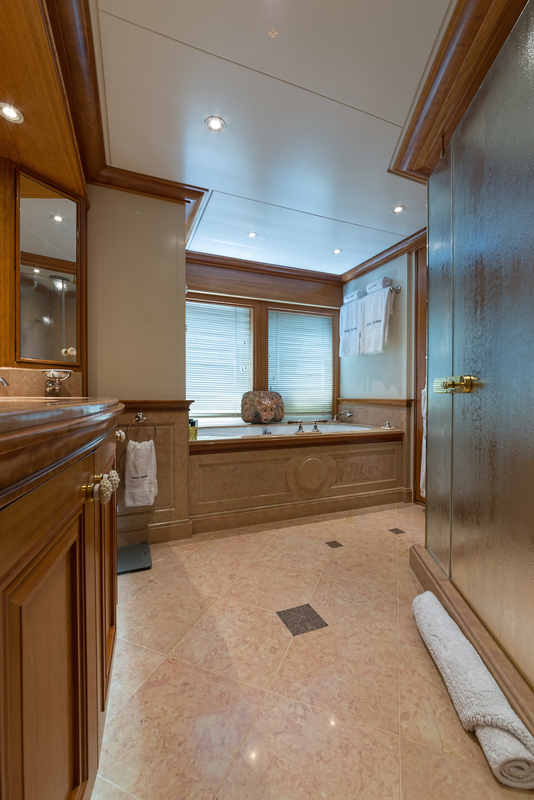 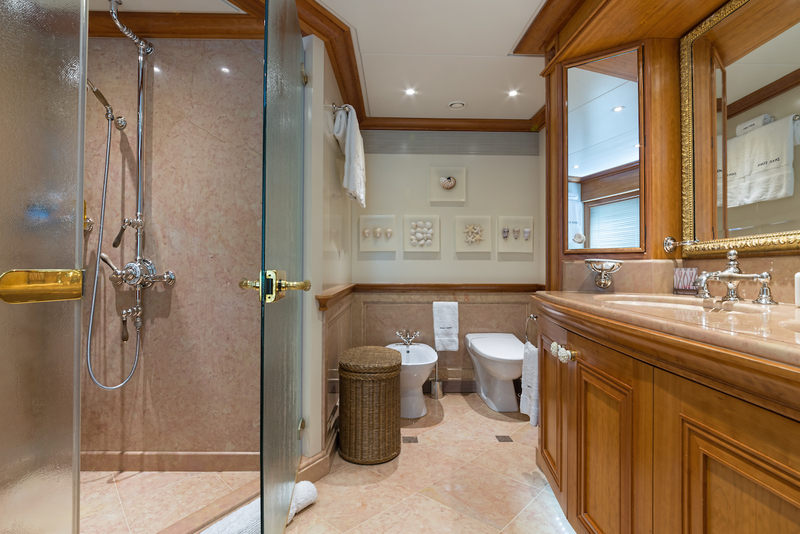 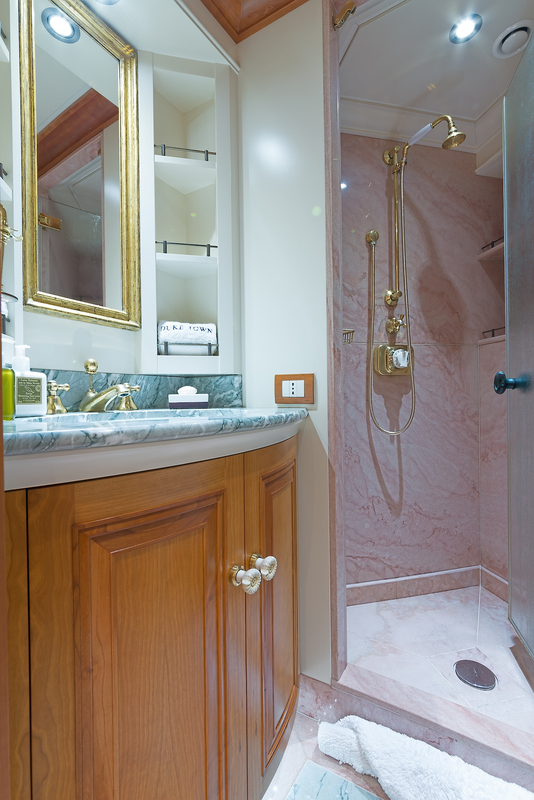 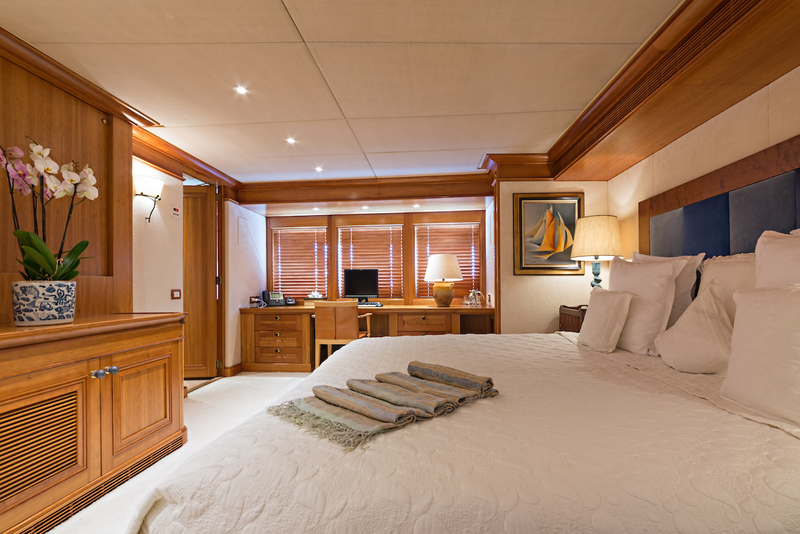 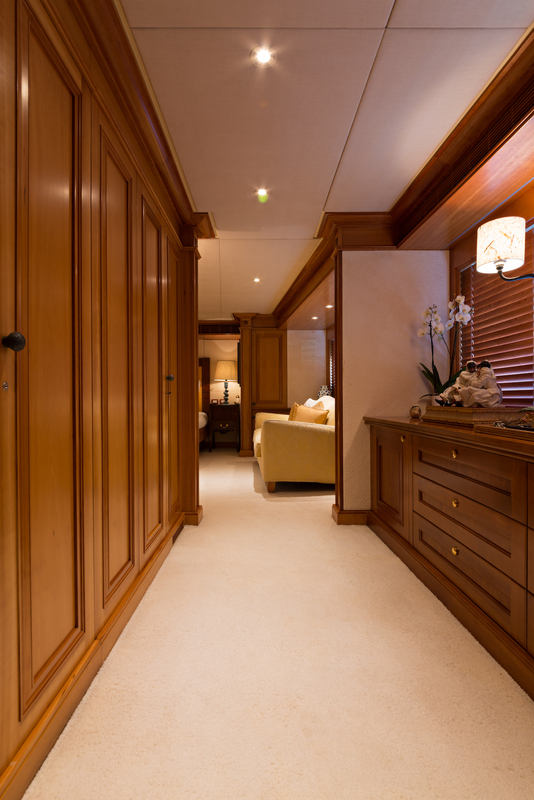 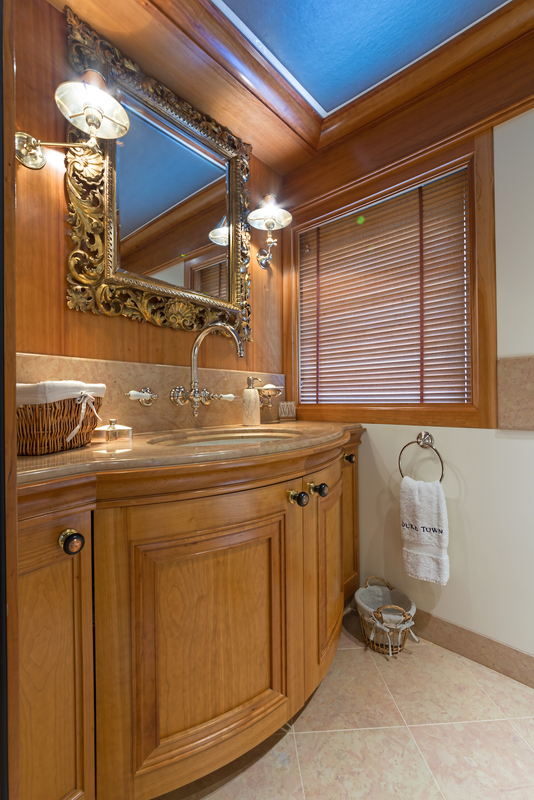 M/Y DUKE TOWN sleeps 10 charter guests in 5 cabins, including 3 doubles and 2 twins and has a professional crew of eight, ensuring everyone has a relaxing time on board. 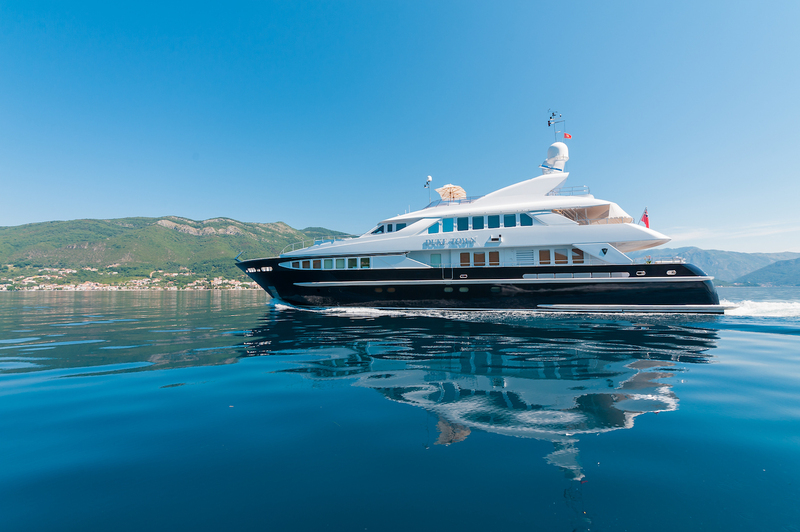 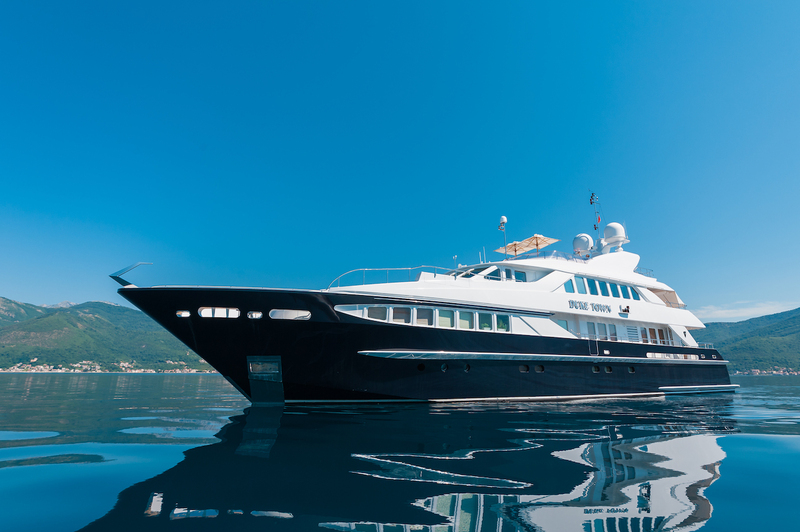 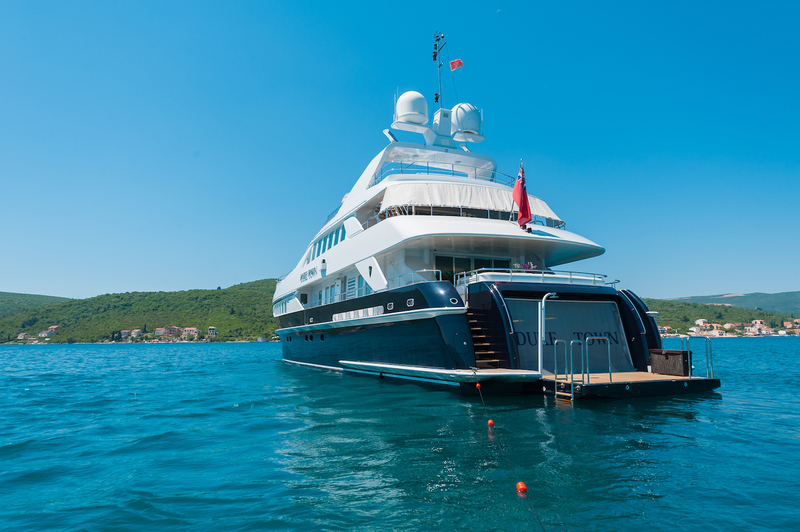 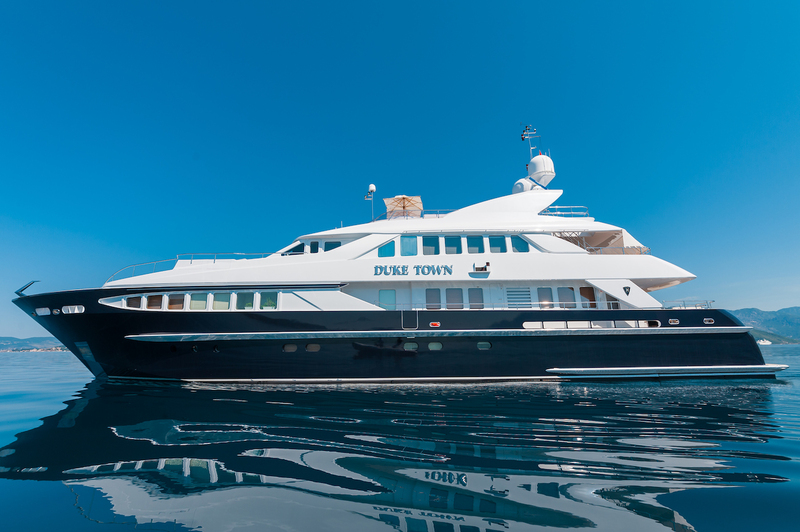 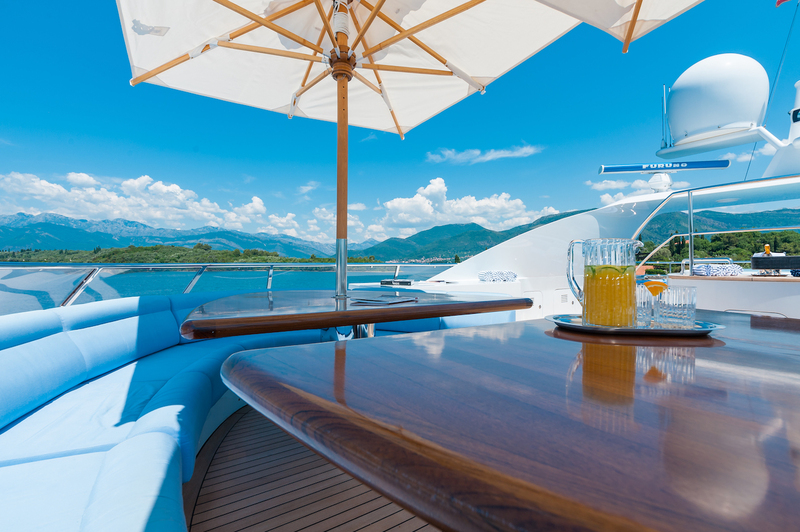 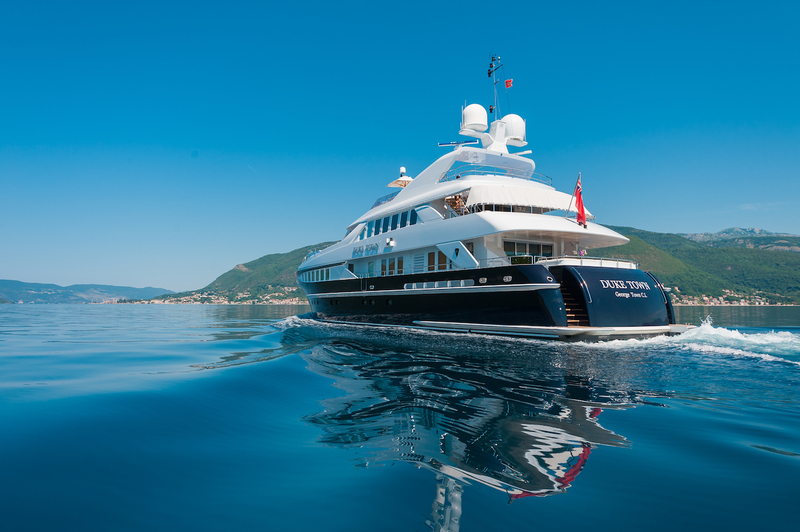 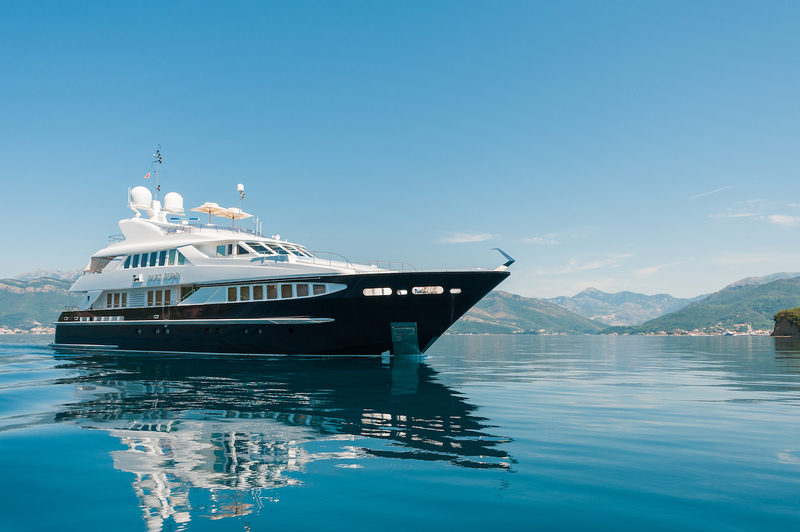 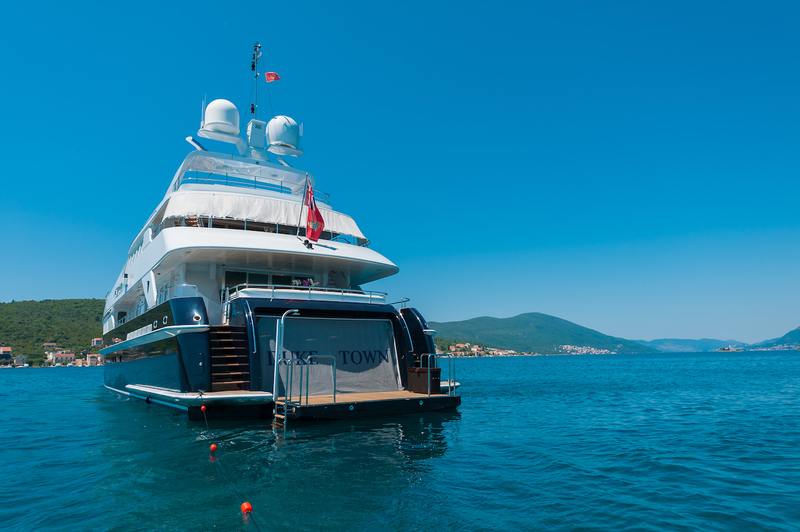 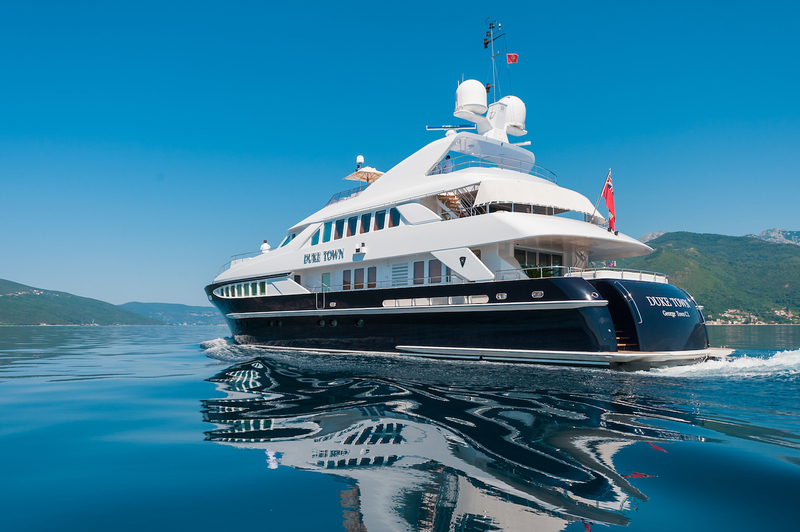 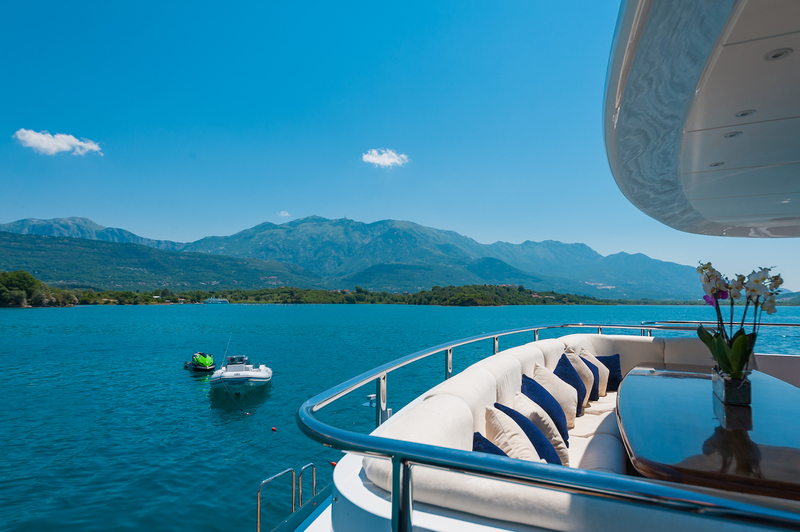 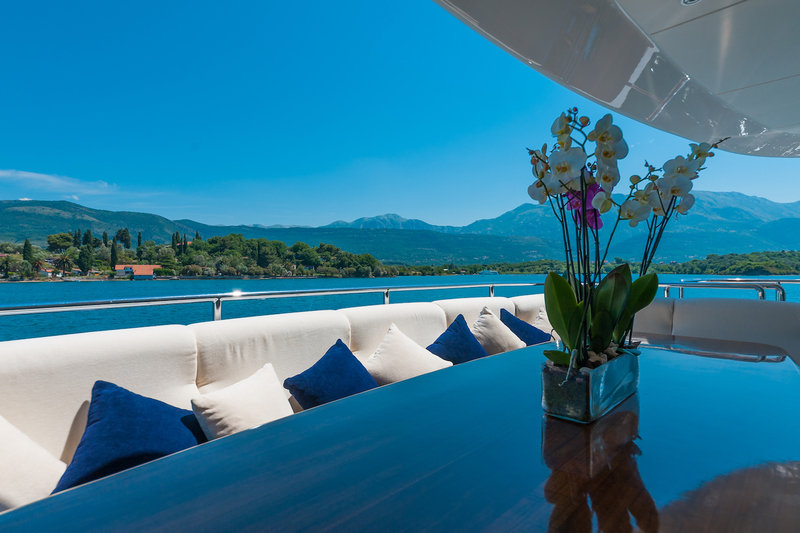 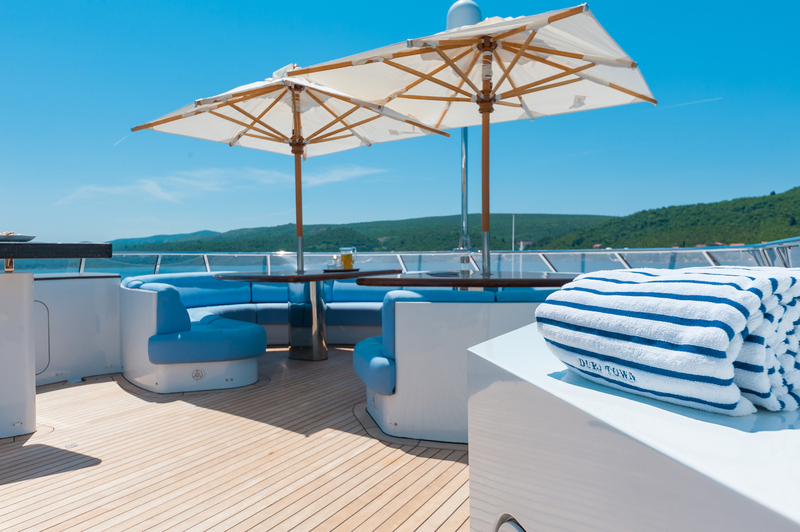 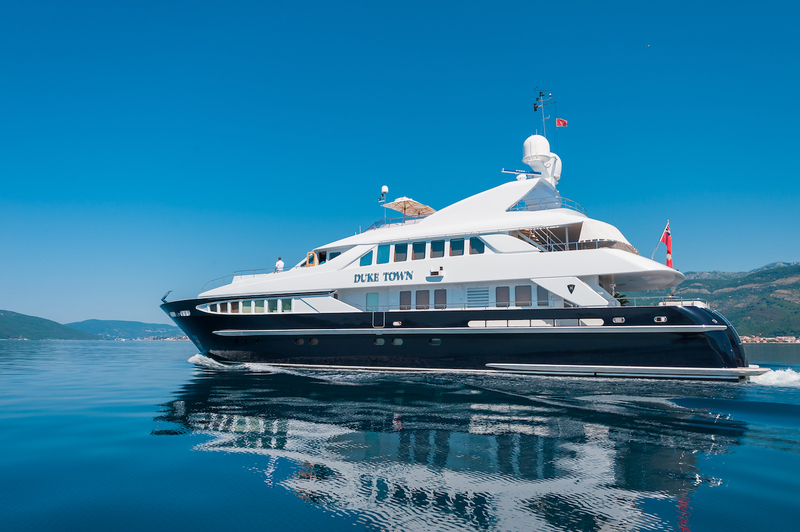 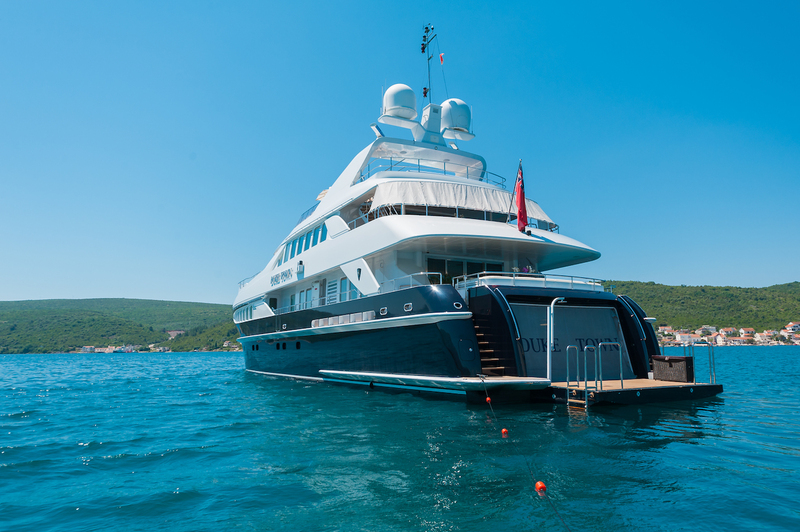 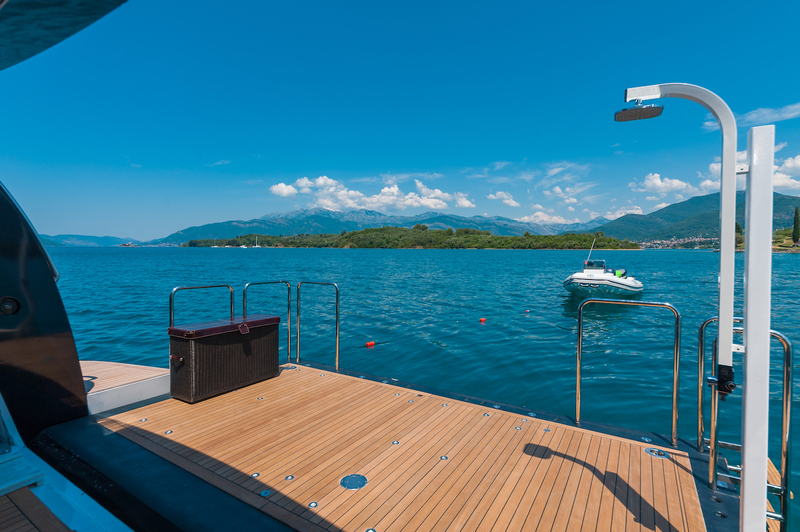 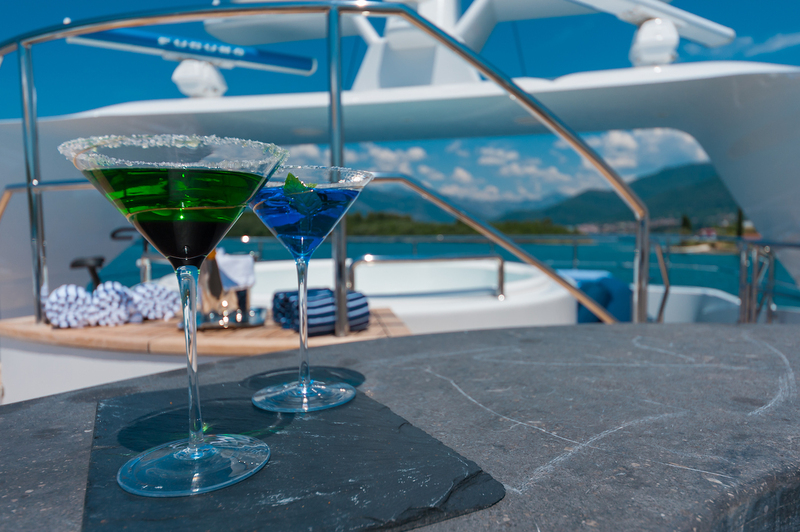 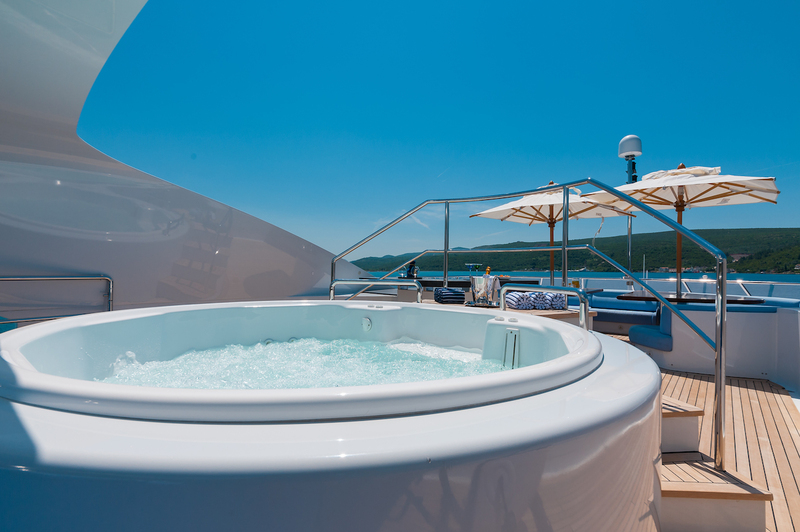 DUKE TOWN is a well-balanced tri-deck superyacht with good deck space for sunning dining and relaxing. 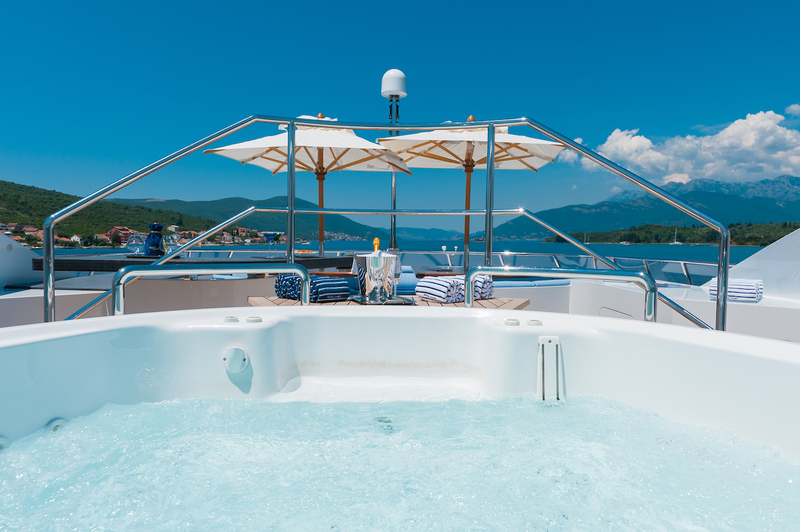 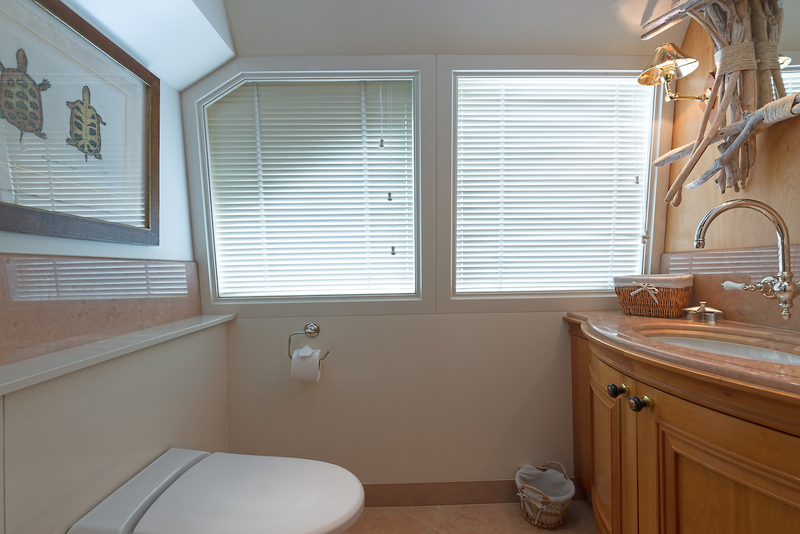 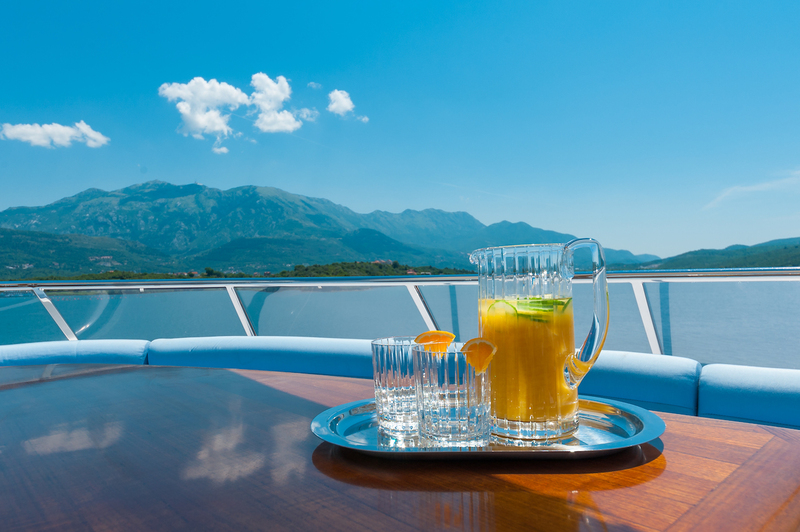 She offers a fantastic top deck with sunbeds and Spa Pool. 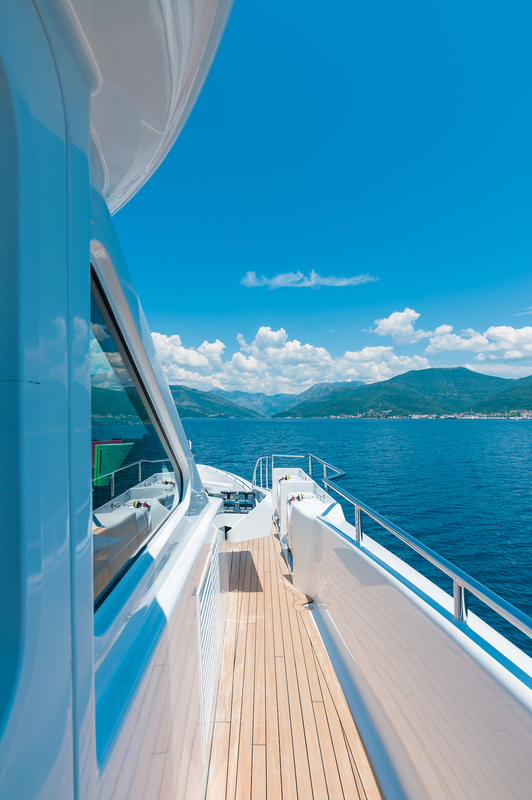 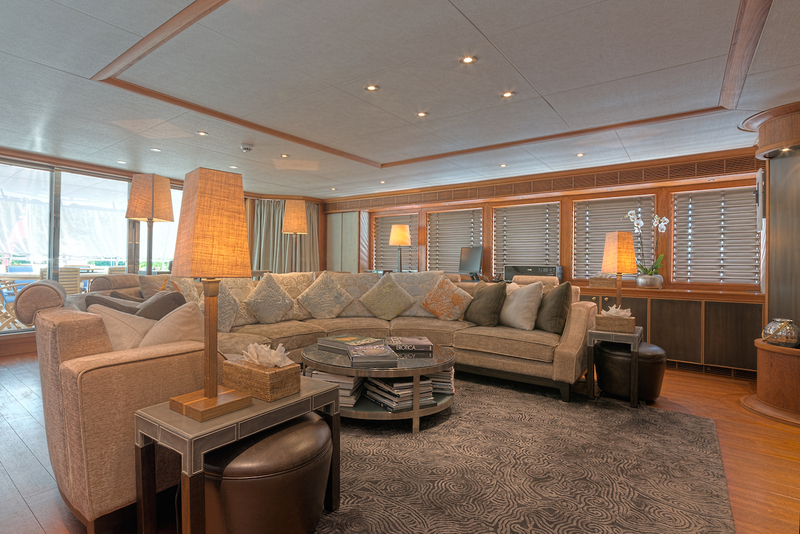 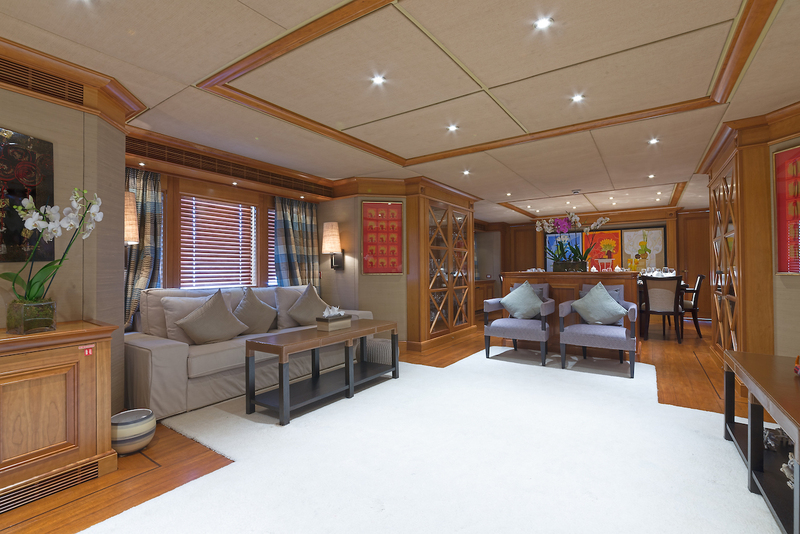 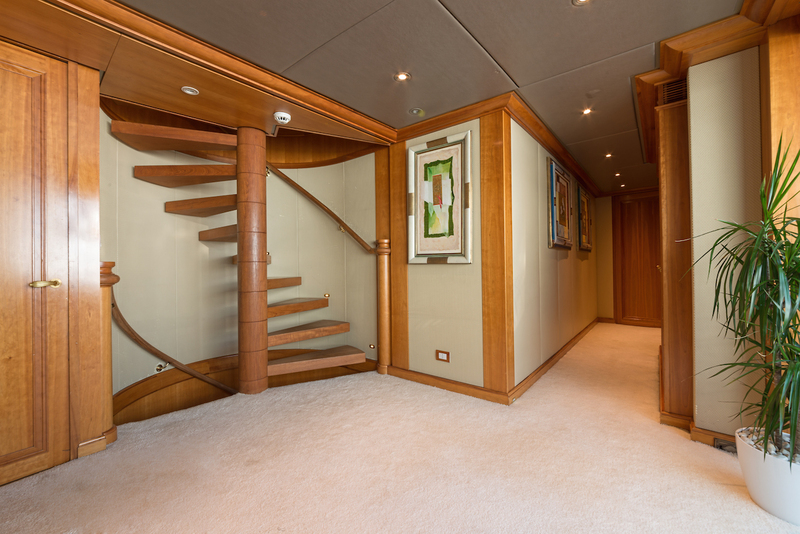 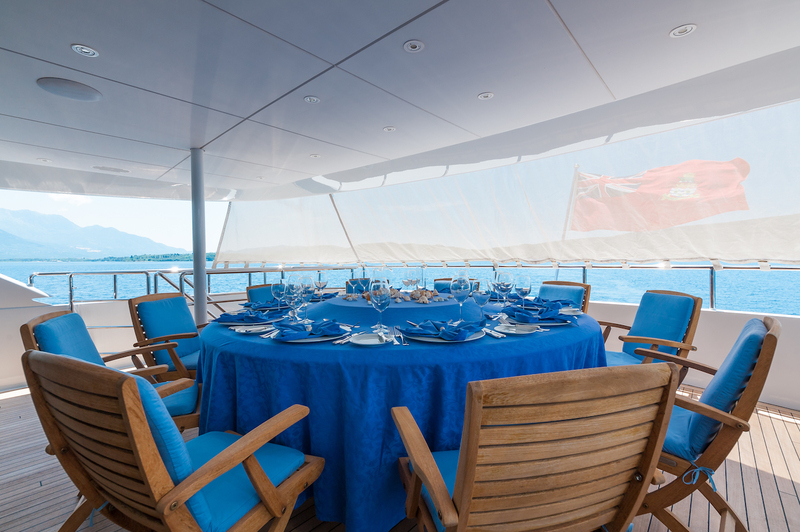 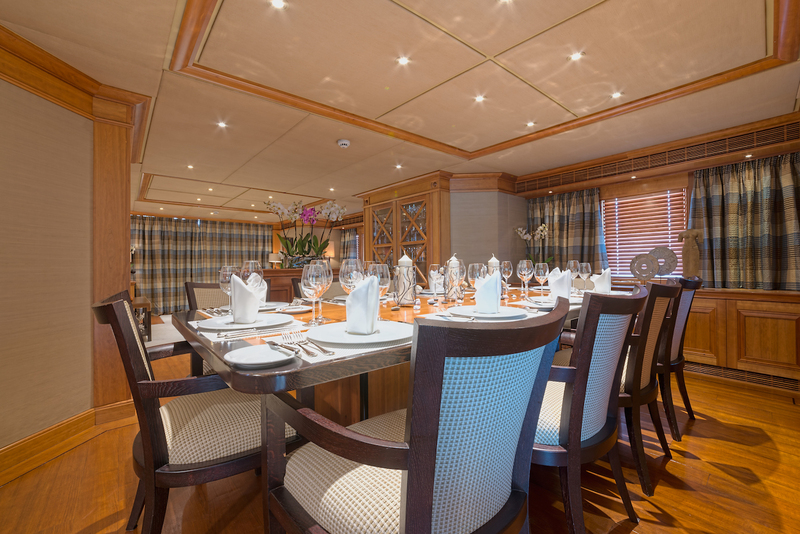 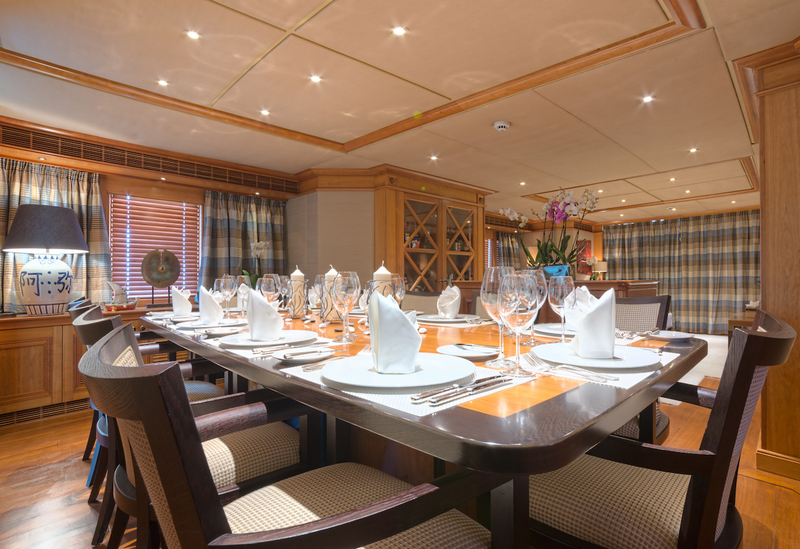 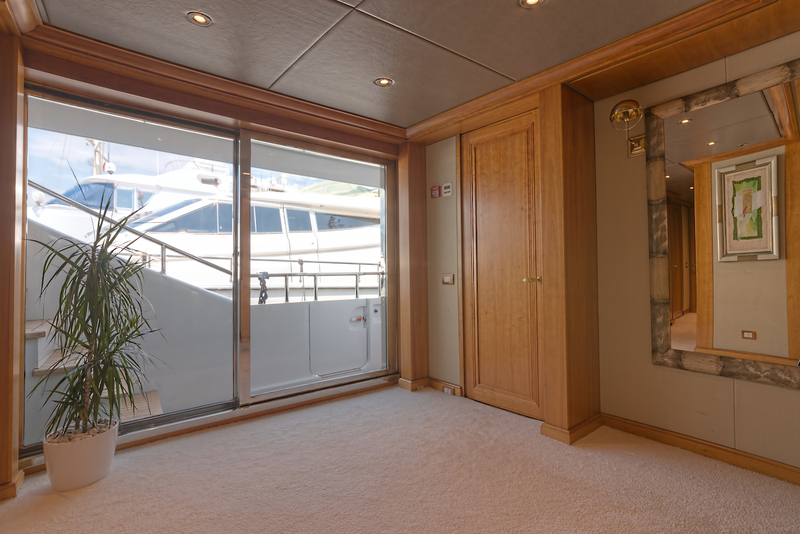 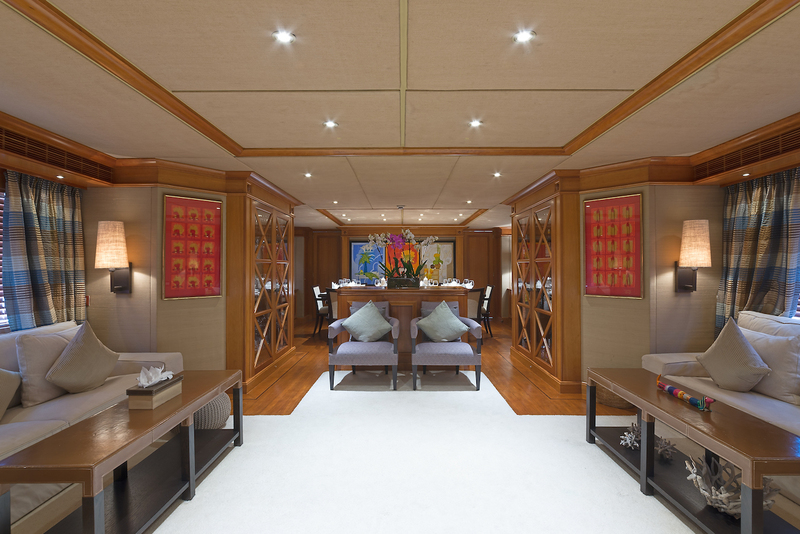 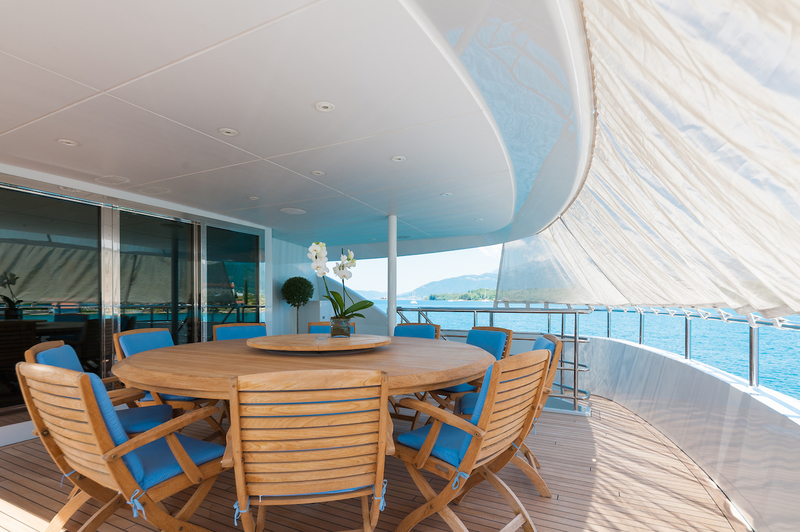 Her main deck aft exterior section offers alfresco dining and seating possibility while on the inside she has a large saloon with a more formal dining option adjacent. 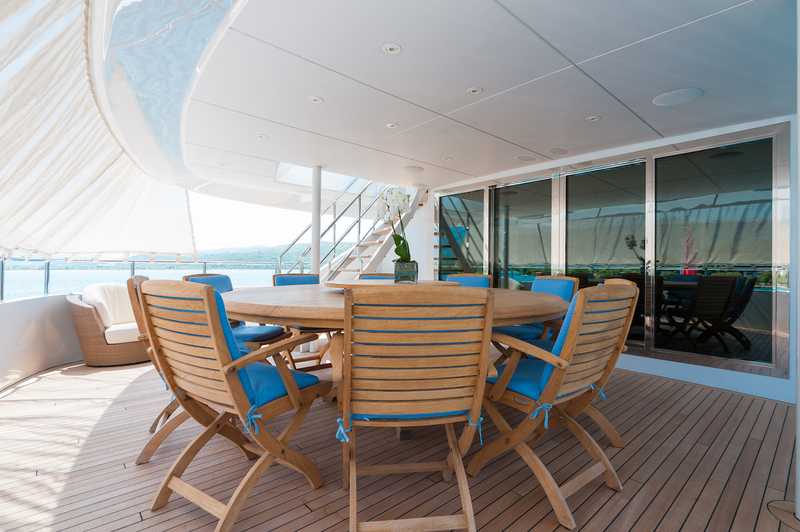 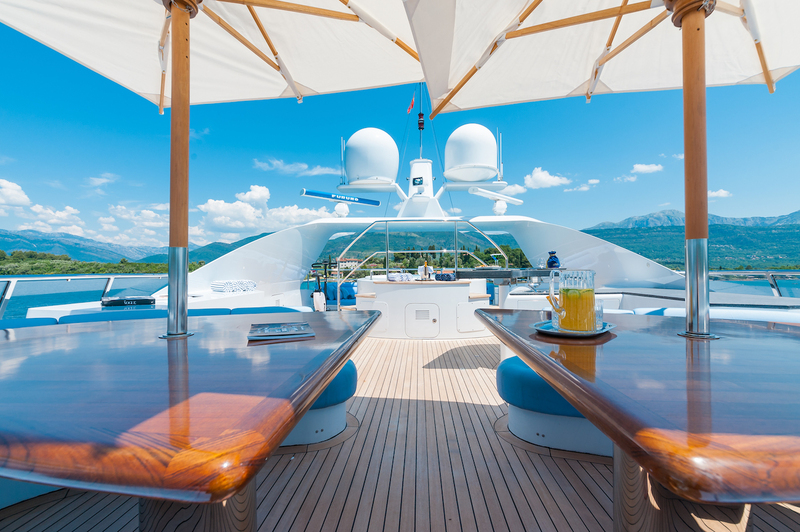 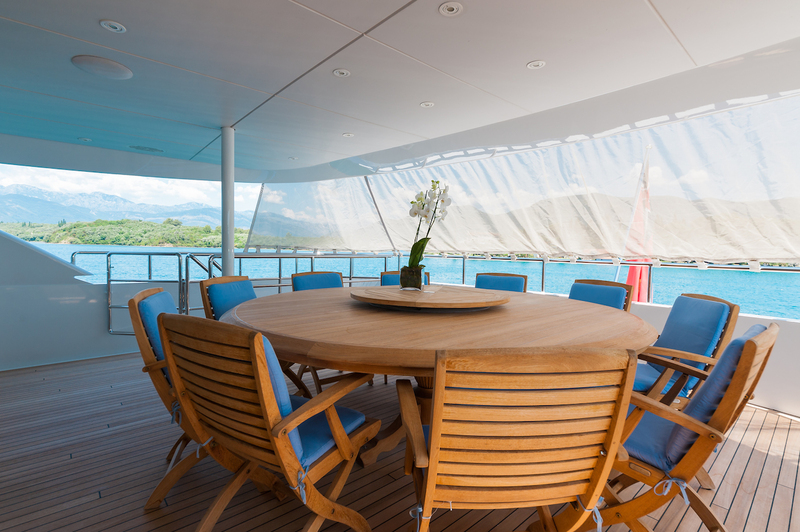 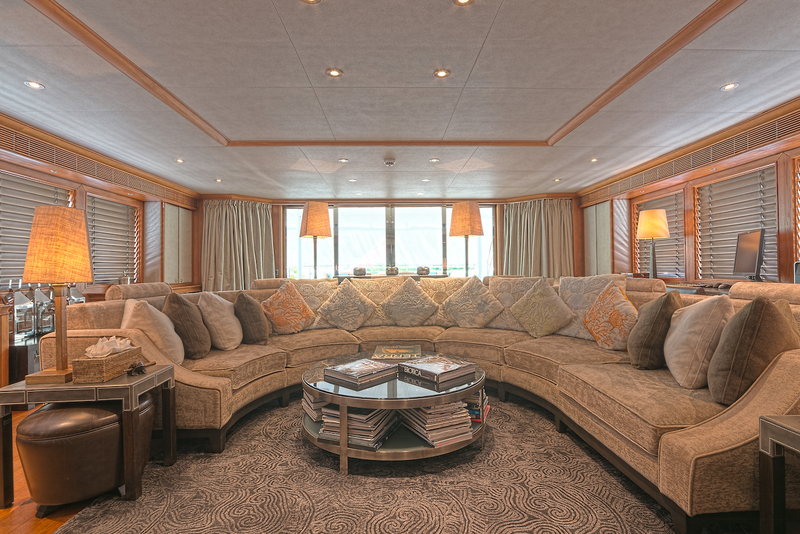 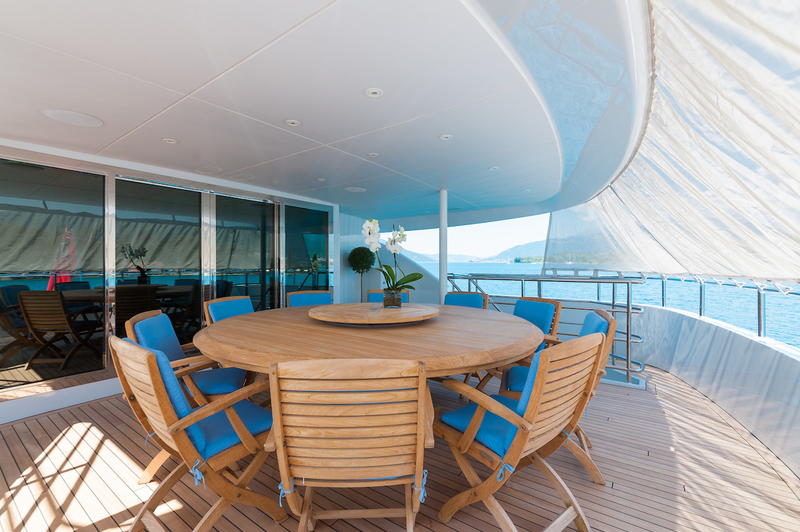 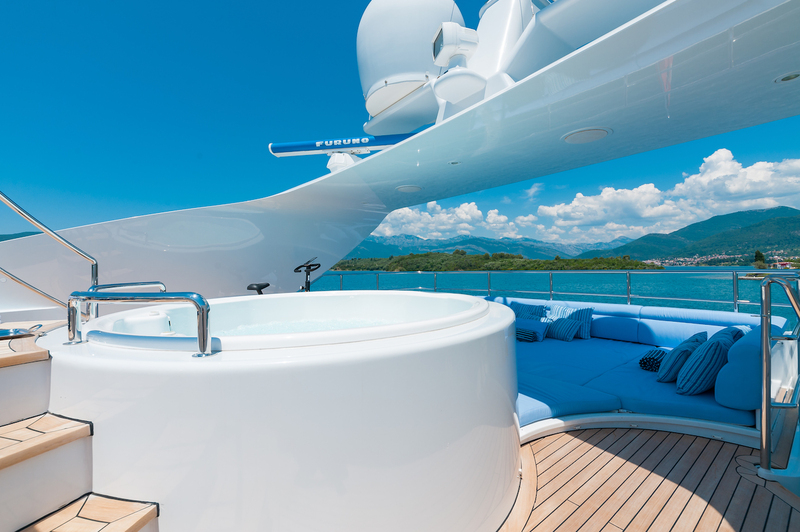 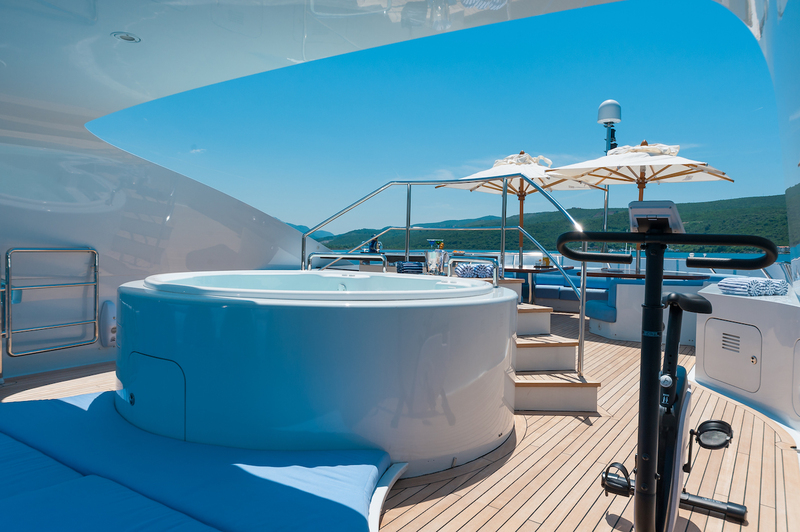 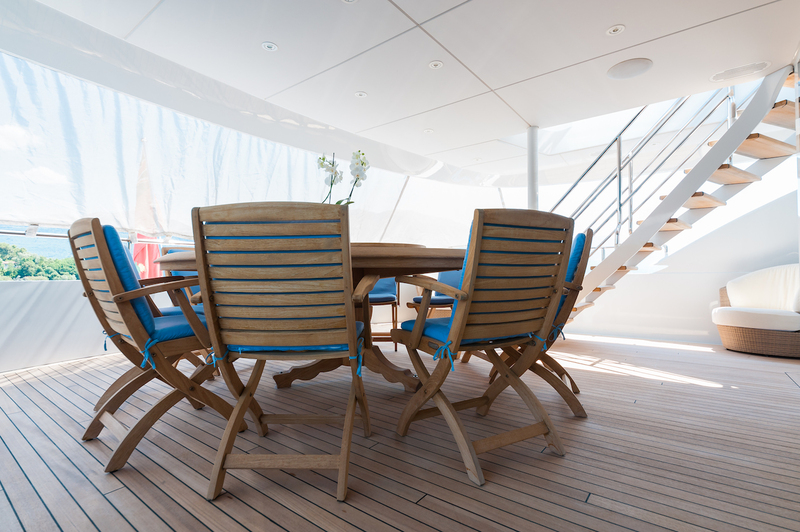 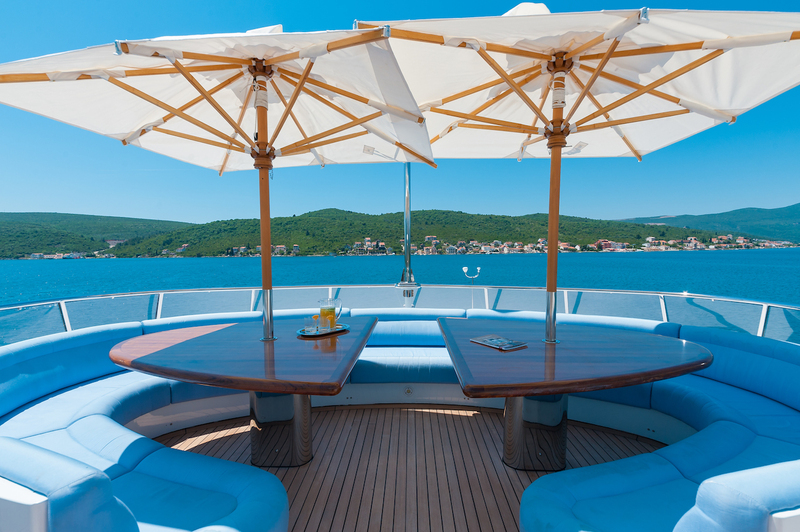 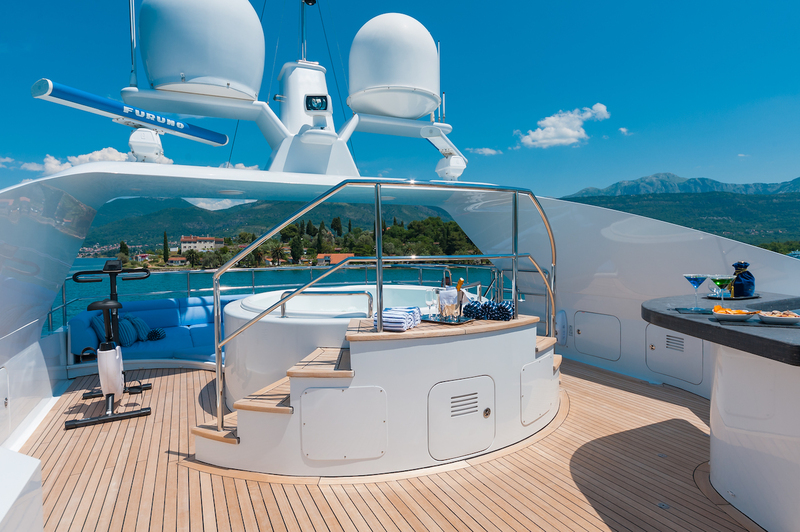 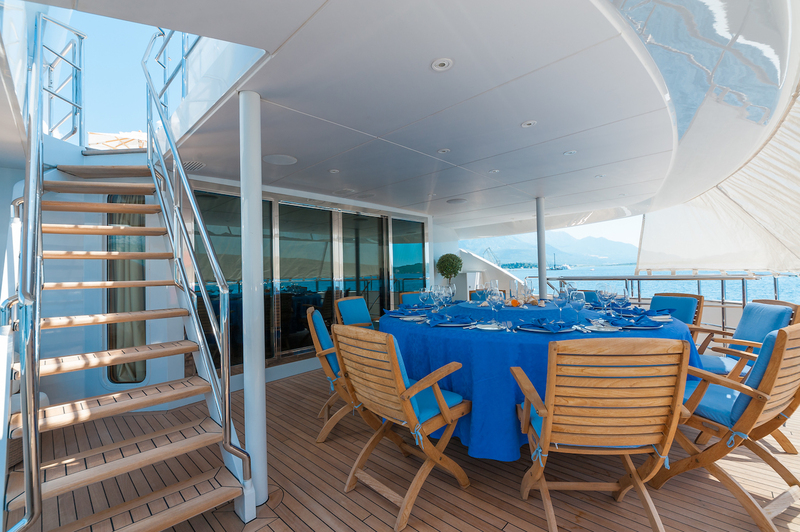 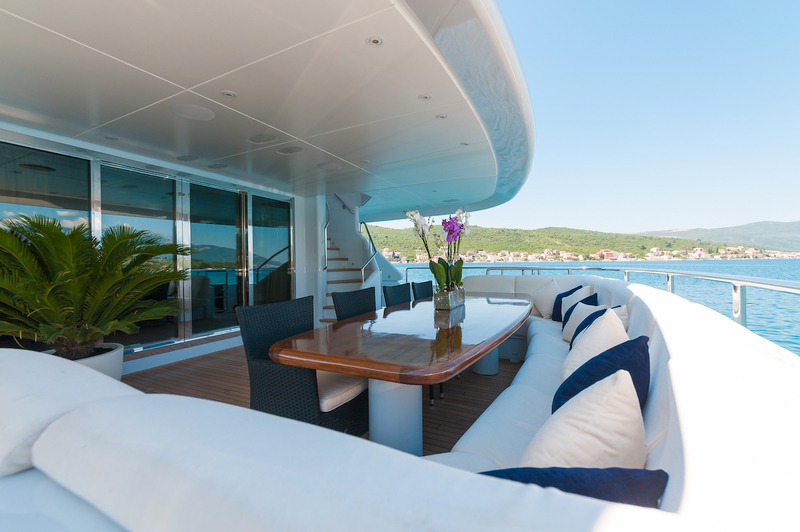 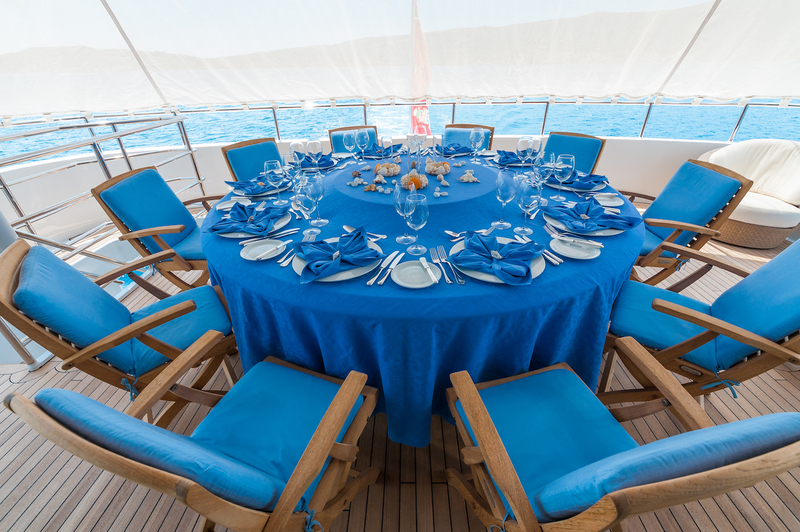 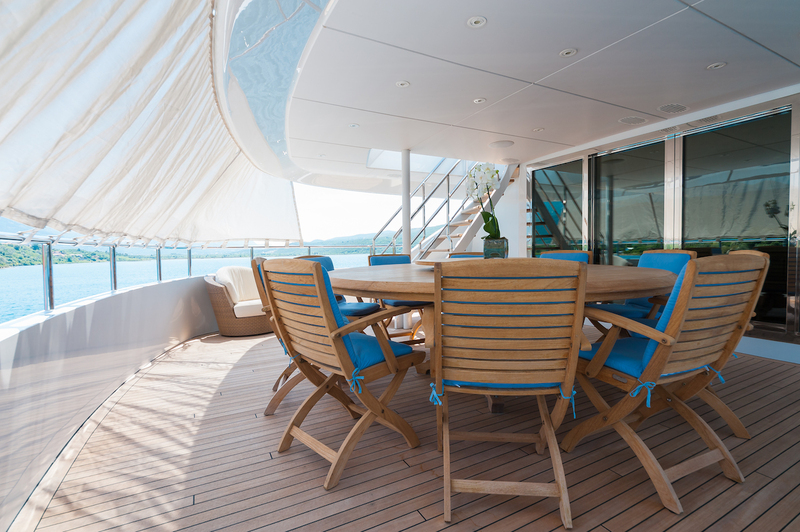 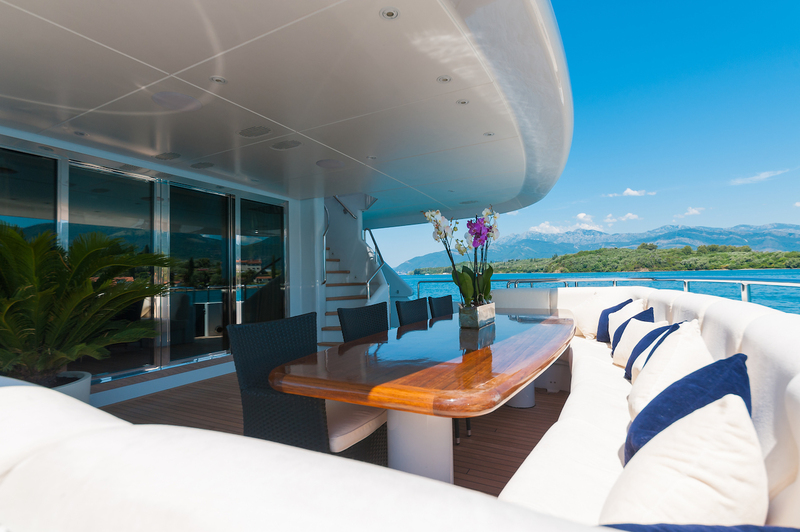 The upper deck features yet another saloon with a large circular sofa, while the exteriors aft have a round dining table for alfresco breakfast, lunches or dinners. 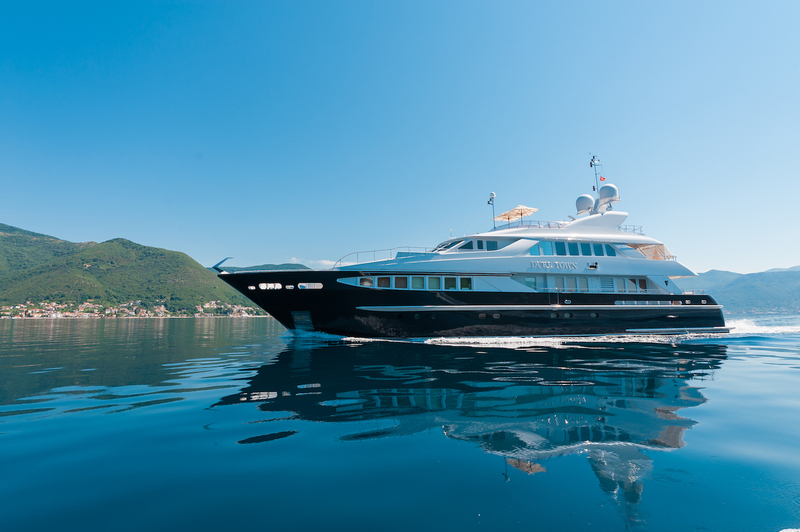 At 37 meters she fits a lot of features into her volume and is an ideal size being large and spacious, yet not too large. 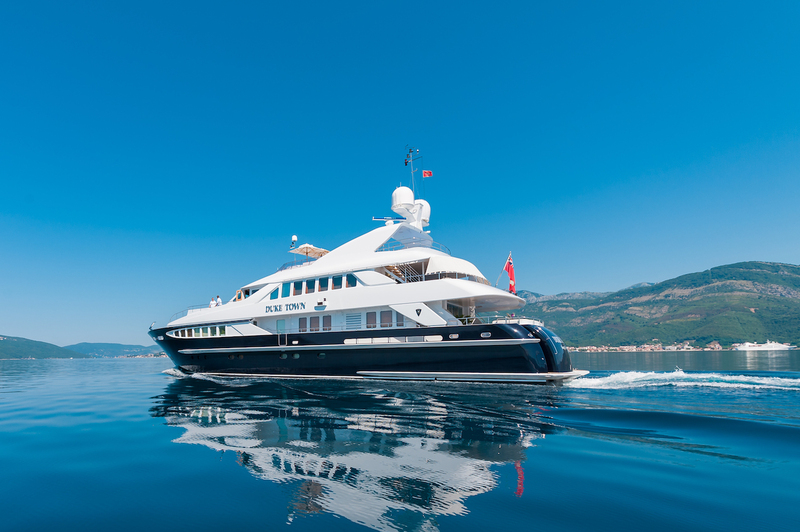 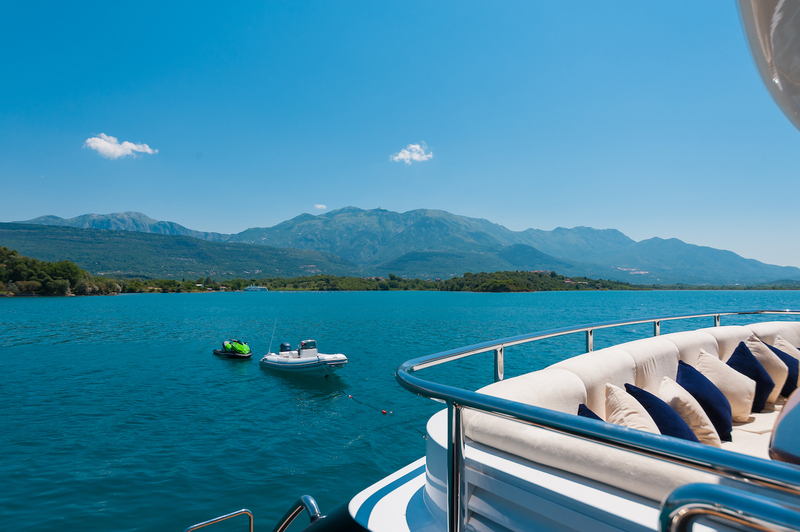 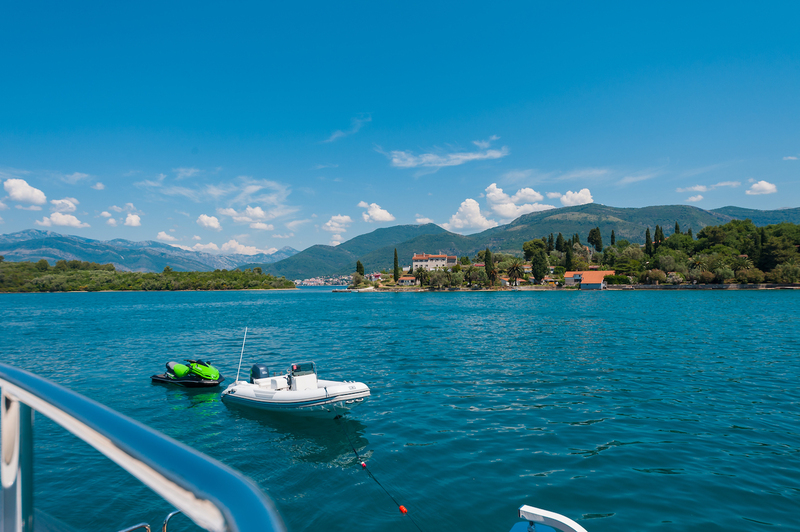 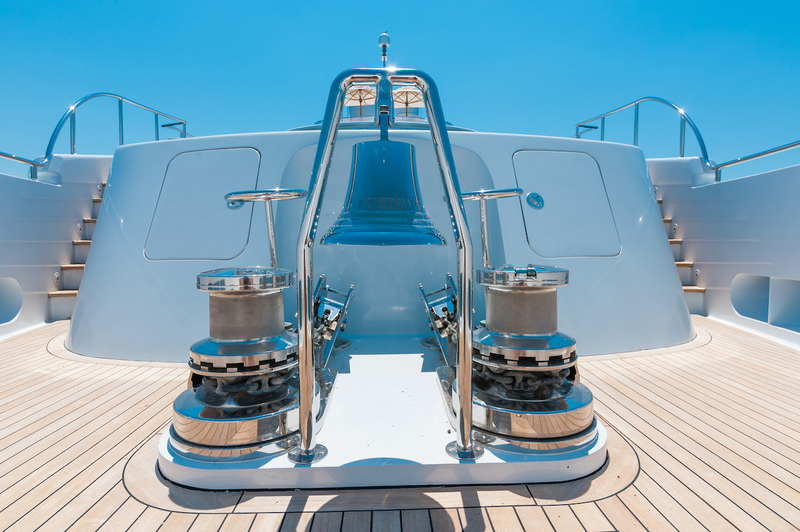 She makes a great all-round boat for Mediterranean yacht charters with an impressive cruising and top speed and good water toy equipment. 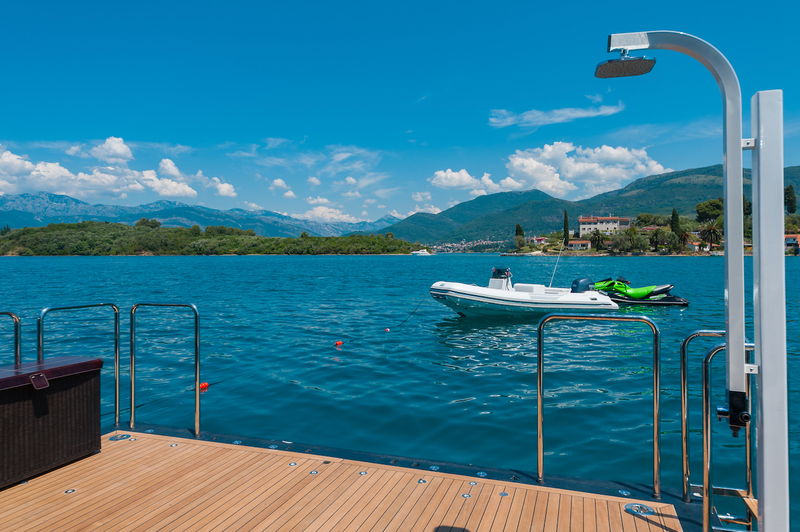 Tenders & Toys Tender Novurania équator EQ 500 LP ~ Wawerunner Kawasaki ultra 250 X ~ 2 water ski and 2 equipements for diving ~ Snorkeling equipment ~ Cage of water polo. 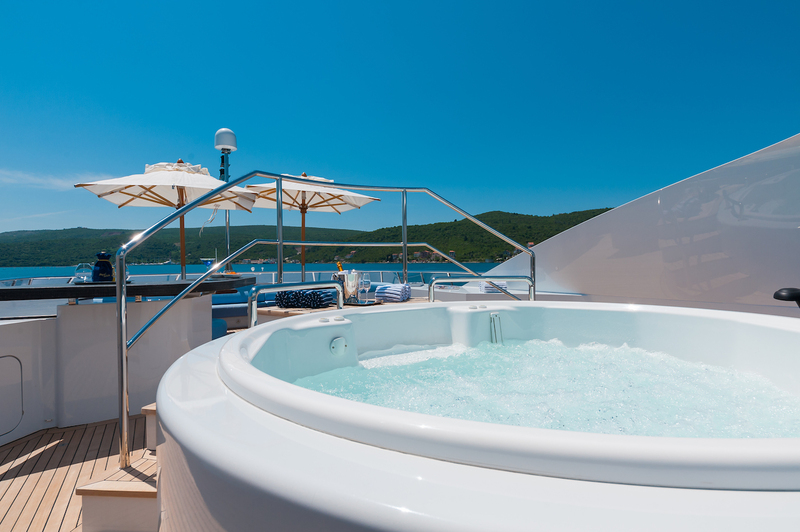 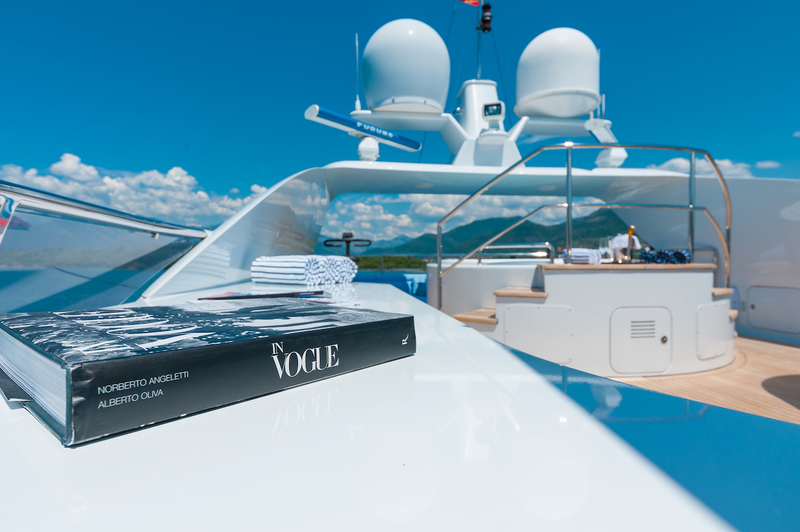 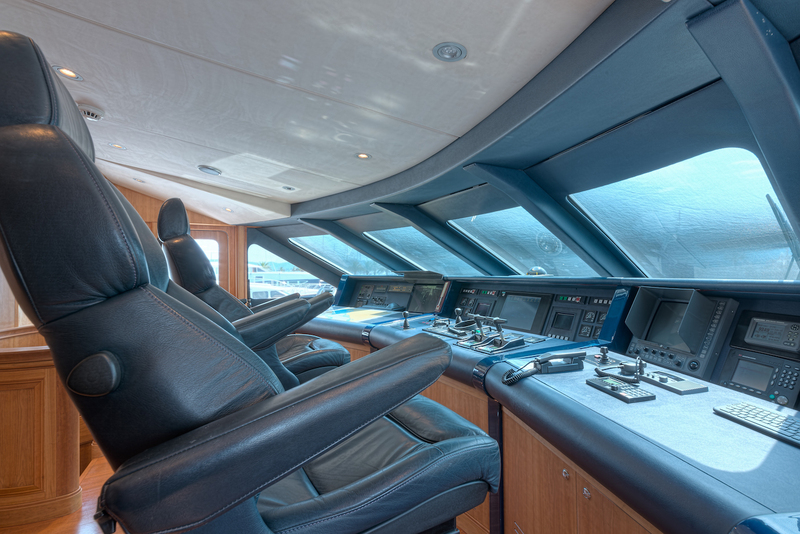 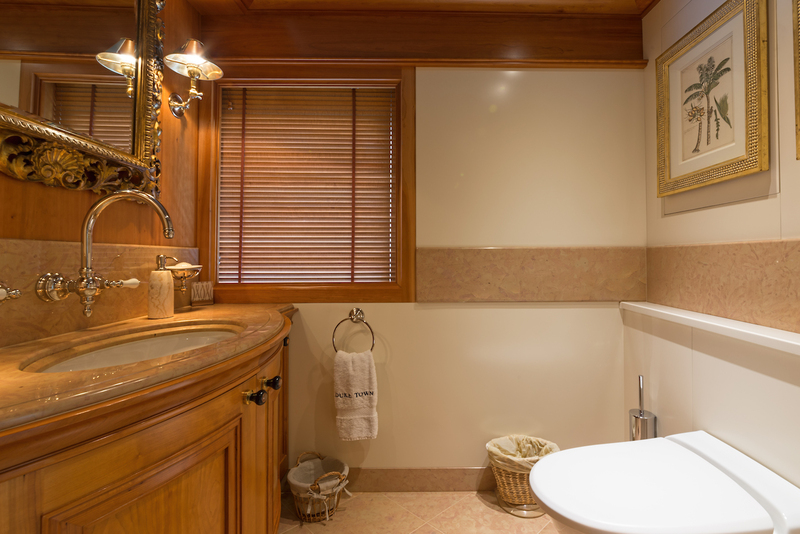 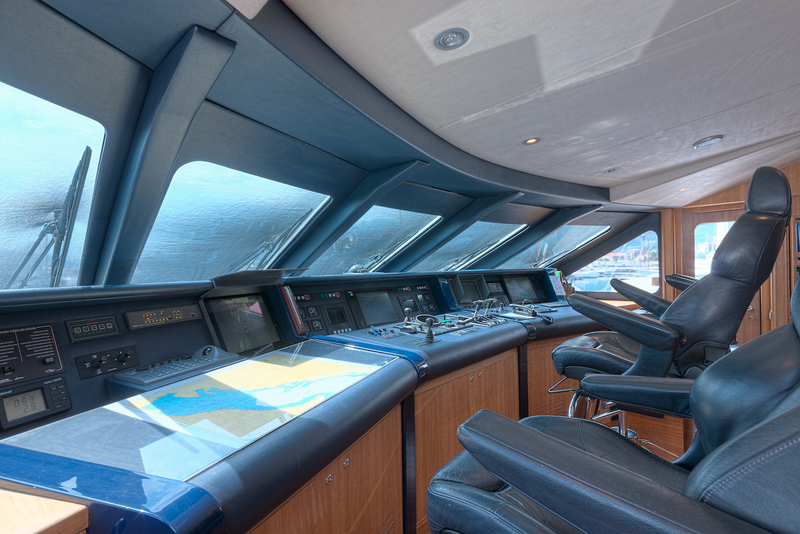 ~ ~ ~ ~ Audio Visual Equipment and Deck Facilities ~ System Kaleidescape and canalsat in the salons, cabins twin and the master + VSAT with Wifi inside and outside the yacht including the sun deck + line GSM and Satellite ~ ~ ~ ~ Communications ~ Wifi ~ GSM Line.